On 4 December 2018, Balkans Property Forum 2018, a conference and networking event for real estate professionals from all over Southeastern Europe will be held in Belgrade. Over 150 guests will come together in the Serbian capital to discuss key issues and explore the latest trends influencing the future of the real estate industry. 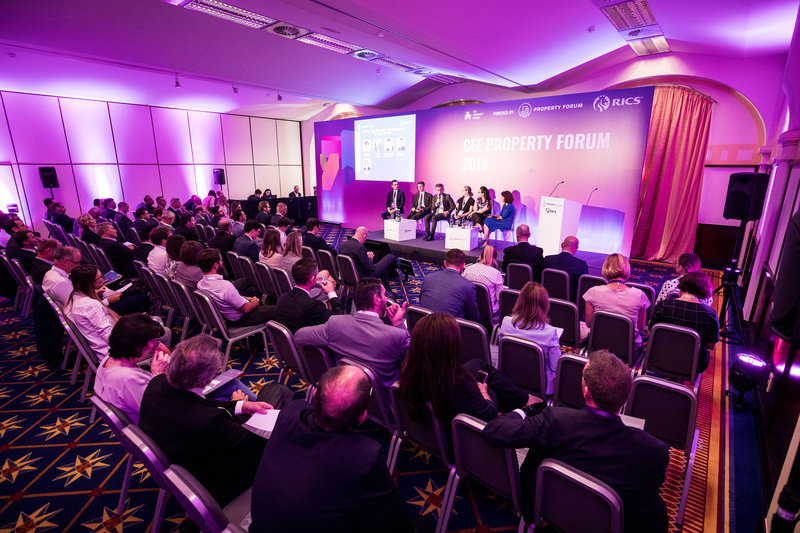 Jointly organized for the second time in Belgrade, in close cooperation with the RICS, Balkans Property Forum is a leading property event in Southeastern Europe. The conference brings together leading experts from the real estate sector, senior economists, bankers and other industry experts to provide an excellent opportunity to hear from and network with all the important players in the regionâ€™s property industry. The programme of Balkans Property Forum will cover a diverse range of topics. To kick things off, one presentation will provide an economic overview of Southeastern Europe and another will focus on the key trends defining the future of the real estate industry. An international investorsâ€™ roundtable will look at investment opportunities in the key markets of the region, namely Serbia, Bulgaria, Croatia and Slovenia. An individual panel will focus on new developments in the city of Belgrade and a special discussion will be dediacted to the emerging markets of the region (Macedonia, Albania, Montenegro, Bosnia-Herzegovina). In the second part of the conference individual panels will provide a detailed look at the office and retail markets and another one will explore the challanges property valuers face today. Innovation will be a key issue discussed at Balkans Property Forum. New technologies are rapidly rewriting the rules of the property business and it is the mission of Property Forum and RICS to prepare real estate professionals for future changes affecting the profession. All of the panel discussions will answer questions realeted to technolgy in real estate and a special proptech session will help better understand the key changes influencing the industry. Property Forum is a leading media and event platform in the CEE real estate industry with nearly 10 years of experience. Property Forum organises conferences, business breakfasts and workshops focused on real estate, in London, Vienna, Budapest, Bucharest, Bratislava, Prague, Warsaw and Belgrade, amongst other locations. The Royal Institution of Chartered Surveyors (RICS) is the official event partner for Property Forum events. RICS is the worldâ€™s leading qualification when it comes to professional standards in land, property and construction. Grand opening of this yearďż˝s Expo Real fair is approaching. 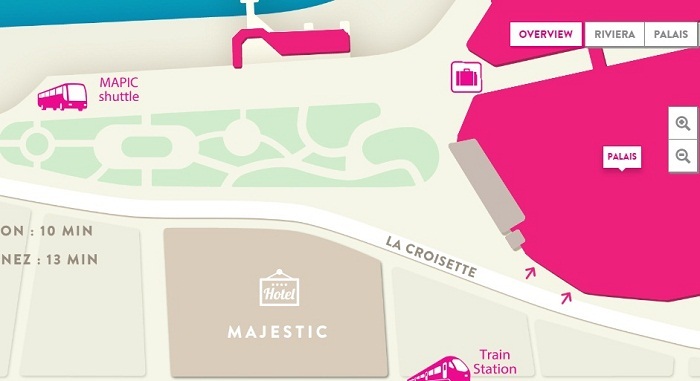 Six halls in the row of A, B and C halls that are already leased to the exhibitors occupy approximately 70.000m2. Over 40.000 visitors are expected and they will have an opportunity to see investment real estate products that will seek their buyers/users. As we have already announced in the middle of July, this year on the Expo Real, next to the specialized visitors, Serbia will also have its booth. Serbiaďż˝s booth will be located in hall A1 on the position 210. In the meantime, the participation of the company Adacta is confirmed in hall C1 position 031. On the other side of the fair, just like in the good old days back in 2004, 2007, 2008 and 2010, the domestic real estate market will be represented on several exhibition places. As already mentioned, Serbia and its real estate market won a supreme regional position. This position was built thoroughly and systematically. Within this period the entire region of the Southeast Europe caught up with the region of the Central Europe/CEE on several key parameters. This is probably one of the reasons to compare them on the two panels of the Investment Location Forum, discussing the markets of CEE and SEE: ďż˝Production and mobility: logistics and industrial propertiesďż˝ and ďż˝Changing old to new: revitalizing properties and entire districtsďż˝. The first stated panel starts on Monday, 8th October at 10 oďż˝clock, and the second one is scheduled for the same day at 11 oďż˝clock. The speakers on these panels will be from Serbia, which will additionally confirm the significance and the value of the investment real estate market in Serbia. CBRE, a consultant company with worldwide reputation, will have its representative in hall A1 on position 441 as co-exhibitor. It seems that Serbia will adequately present its investment potential and accompanying specialized consultant services with cooperation of representatives of VIP/RAS and seven municipalities from Vojvodina (Subotica, Kikinda, Sombor, Novi Sad, Zrenjanin, Sremska Mitrovica and Pancevo) in hall A1 and booth of Adacta in hall C.
As we write this, in the eventďż˝s data base on their website there is a list with the data of the visitors from Serbia. Next to the representatives of our exhibitors, there are visitors representing the companies such as BWK, Case 3D, Lawyerďż˝s office Karanovic Nikolic and Lawyerďż˝s office Maric & Mujezinovic, which is a part of the Kinstellar office. We hope that the number of visitors from Serbia will increase in the next three weeks and that they will adequately support the fair presentation of our exhibitors. Until then, all interested parties are kindly asked to explore the contents on address www.exporeal.net. We are sure that everyone will find something interesting. 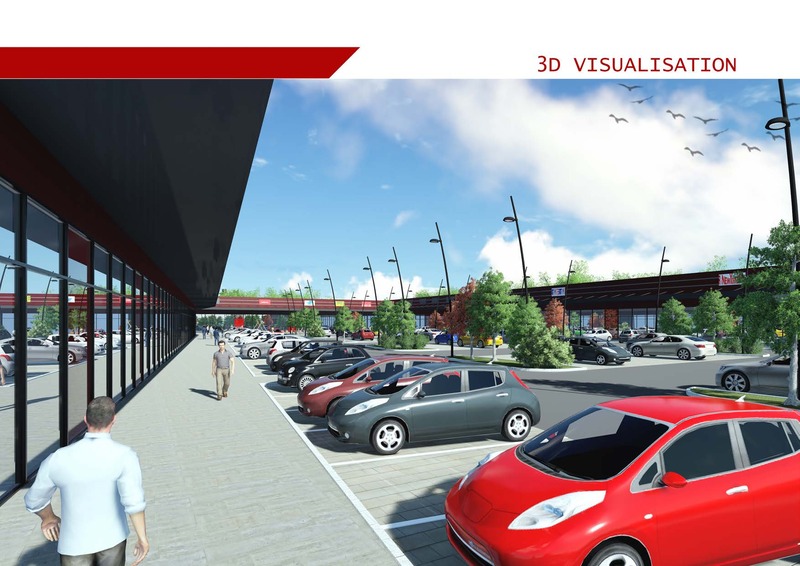 In this yearďż˝s REBEC in the course of ďż˝Retail Development Afternoonďż˝ one piece of information sparked visitorsďż˝ special attention ďż˝ it was a hint of imminent construction of a retail park/shopping centre in Gornji Milanovac. Due to its well established specialized regional market niche, REBEC got the exclusive right and opportunity to promote the beginning of the projectďż˝s development. ďż˝Barmilton Propertiesďż˝ business company from Belgrade initiated the construction permit procedure for the construction of this facility in Gornji Milanovac. ďż˝Shop Parkďż˝ will be the brand name for the retail park development. 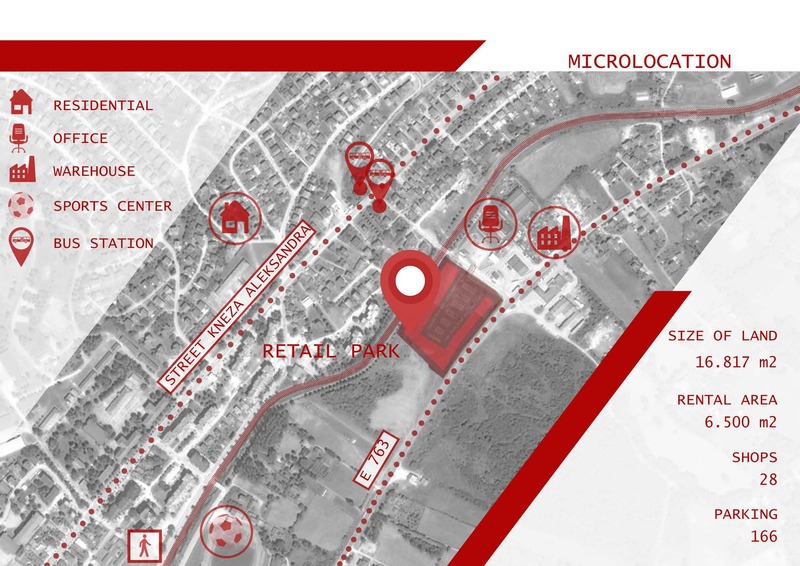 Thus, through the nature of the project, the town and municipality of Gornji Milanovac, with the population of over 50,000, will join the exclusive group of Serbian towns offering a higher quality of life and services to their population, and also to guests visiting specifically this business point. Additionally, this is how a new and unique place for specialized content, and expected professional services accompanied by outstanding quality, will be given to over 29,000 residents of the town. According to available data, "Shop park" will be in the possession of 7000m2 gross area and of over 200 parking spaces. For now, it is envisaged that a minimum of 28 stores will be offered to the market, where tenants will position themselves according to the predicted layout and their array of products will cover all the needs of the contemporary lifestyle. These numbers alone point to a very thoroughly planned and developed concept of the project itself which is the first and, for the time being, the only such project in the municipality of Gornji Milanovac. Of course, this will be the opportunity for a larger number of people to find employment in this project. As a result, "Barmilton Properties" from Belgrade will find itself among important local employers such as Tetra Pak, Metalac A.D, SwisslionTakovo, HG Hellios Group, Tipoplastika and many more. The location of "Shop park" is such that on the one side it is positioned next to the trunk road E 763, and on the other side it will look onto the town promenade by the Despotovica river. In the existing urban block, it is quite likely that this project, with its position and future content, will be generally recognizable and attractive to all those who gravitate towards the area of Gornji Milanovac. It will represent a new culture point as well, and a centre for many accompanying events aimed not only at the residents of the area. Also, having in mind the surroundings of the retail park, it will be an additional appealing potential and reason for the positioning and development of small businesses and other activities in the neighbourhood. They could all progress jointly and soon form a new business centre of Gornji Milanovac. 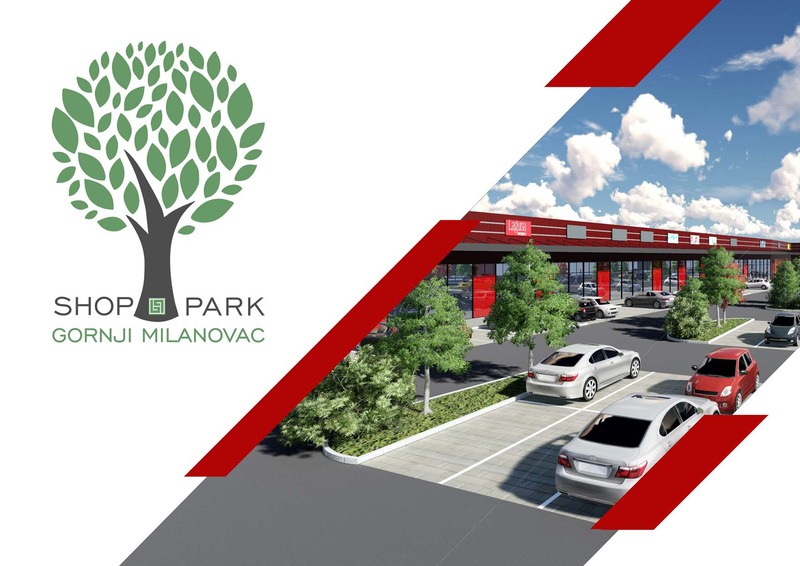 What "Shop park" will offer to the retail market in Serbia, apart from its concept, are two tenants/retailers from Turkey. 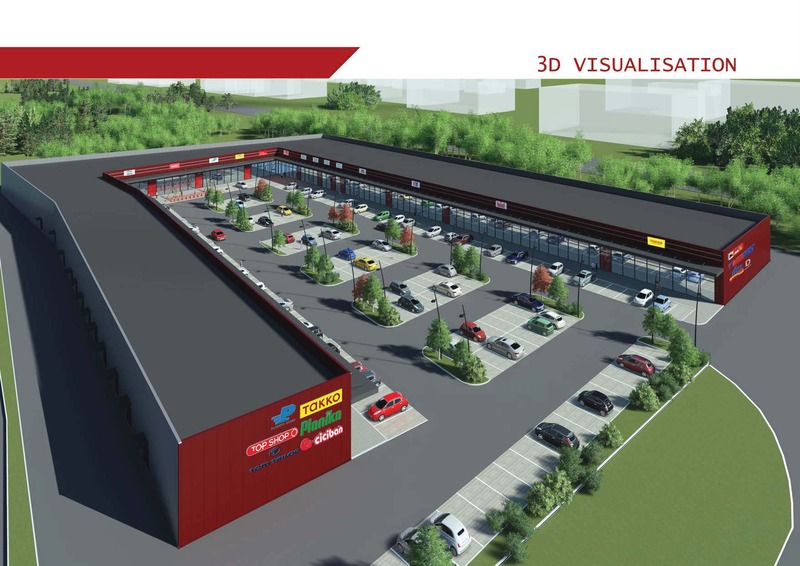 These tenants from fashion category will most likely start conquering the Serbian retail market from this project in Gornji Milanovac. This is additional recognition, highlight and recommendation of this project. On the existing website www.shop-park.rs, it is possible to see other content and information regarding this venture. Among other things, as mentioned on the website, the grand opening of this project is planned to be in May 2019. Let us wish good luck and success to all the entrepreneurs who will take part in the development of this undertaking in Gornji Milanovac. 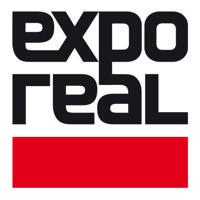 This yearďż˝s Expo Real, twenty-first in a row, will be held in period 8-10 October in the same old place as before. 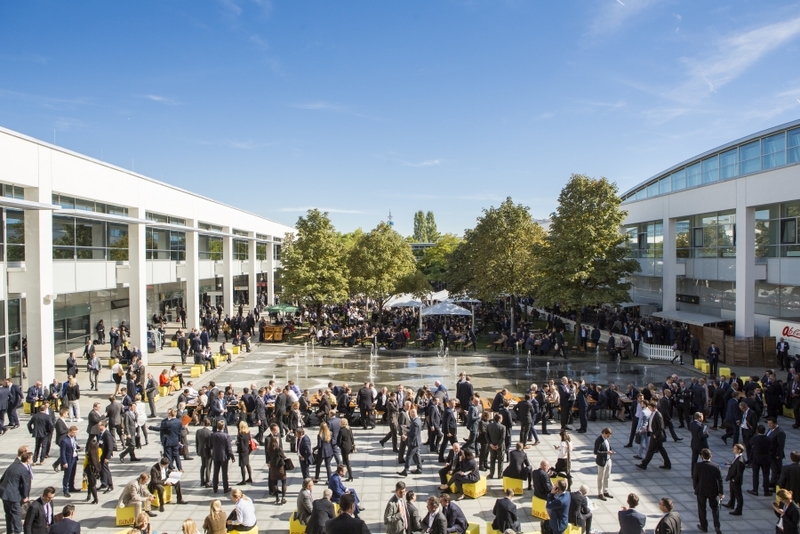 Specialised clients from the world of real estate investment development will gather in the City of Munichďż˝s Fair, at the location of the old airport on approximately 70.000 m2. All kinds of real estate goods / projects will be offered on this market, and potential buyers / customers will try to meet their expectations and needs and to take their places in the clear structure of the real estate development. This event is categorized as the first class specialized event of the real estate industry and has recognizable international position. Within the exhibition halls there will be 8 specialised forums / conferences, which will last throughout all three days of the event. Over 500 speakers will take part on these forums and it is most likely that all the last yearďż˝s records will be exceeded. Next to the expected Expo Real and Investment Location Forums, Real Estate Innovation and Discussion & Networking Forums, Intelligent Urbanisation and Planning & Partnership Forums, we address your attention to the Grand Plaza forum, dedicated to retail sector, which was initiated 2 years ago. More than 300 events / promotions of the independent participators are expected, which is also one of the trademarks of the Expo Real. Are there any representatives from Serbia this year? Three months before the beginning of the Expo Real we can say with certainty that Serbia will have its booth on the Fair. Eight municipalities from Vojvodina led by VIP and the Provinceďż˝s RAS will try to turn the spotlights on their investment potentials. Bearing in mind this yearďż˝s accomplished economic indicators, growing number of industry and real estate projects, Serbia has confirmed its investment recognisability and recommended itself on a regional level of the South East Europe. We hope that the booth of our exhibitors will encourage more local guests to visit this event. Next to that, I believe that due to this booth, Serbia will find its place in one of 8 forums covering some of the topics from the region. The weather forecast is favourable for this time of the year, as was the case in the previous years. No rain, just plenty of autumn sunshine. 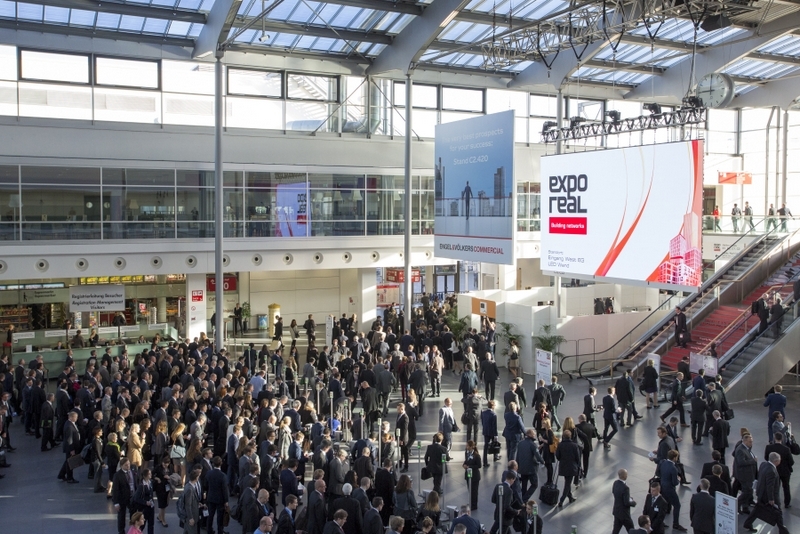 See you in Munich on Expo Real 2018. According to information's we have got by now from Belgrade, the most numerous team of retail professionals representatives from Serbia is getting ready to visit MAPIC 2016. Finishing Plaza shopping centre in Karaburma building and starting the bridge on Ada Ciganlija building impose additional efforts to attract and move in the prestigious tenants in this projects. Also, announcing the great number of retail parks that are about to be built in Serbia helps the development of this sector. Building the first IKEA endeavour near Belgrade shows that Serbia will be mecca for retail sector development in the succeeding period. On the web site of CEE Property Forum which will be held on 21st September this year, already traditionally in Park Royal Palace, a conference frogram was completed. The most interesting is â€žWhy to invest in SEEâ€ś? panel for our market in Serbia. What will EX YU region offer in EXPO REAL? Talking about EX YU region so far, in this year EXPO REAL event, Slovenians and Serbians will have their stands. Admittedly, Slovenians will be on stand 420 in B2 hall. As we have already mentioned the city of Zrenjanin from Serbia will be on stand 110 in hall A1. There are no registrations from Croatia and Montenegro so far, and they were present to some extent in this event before. Neither are Bosnia and Herzegovina and Macedonia there. When event organizers show the statistics of tickets sold weâ€™ll be able to know how high was the number of visitors. By then you can search for all the informationâ€™s you need on www.exporeal.net. The biggest specialized event for real estate investment development In the Middle East is CITY Scape which is held in Dubai. This year from 6th to 8th September the whole world will gather to compare with each other and to perceive new investment opportunities. Above all this year CITY Scape will celebrate 15 years of holding. According to last informationâ€™s, A serious team of representatives from Serbia is getting ready to be there and to feel investment interest for Serbia. We canâ€™t wait to come back and to share their impressions with us. Is there Serbia on EXPO REAL event? On website of Portfolio CEE Property Forum agenda with scheme of the program is announced. It looks like the most attractive topic will be BREXIT and its possible influences on financial market of capital which is about to be invested in real estate development. See more details on www.property-forum.eu/forums/. According to results of the referendum held in England, Europe is the most likely losing one of the most important members. England was always investment mecca and a great financial market to find a financial partner. Will the independence of England cause serious financial shake or this is just good starting point for changing the achieved balance of influence in Europe and worldwide? 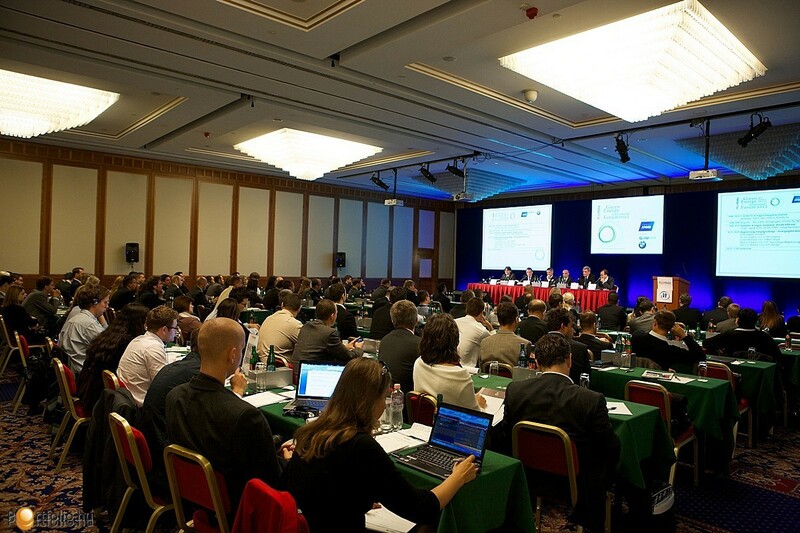 After the successfully held conference in Bucharest, holding the CEE Property forum was announced for 21st September. 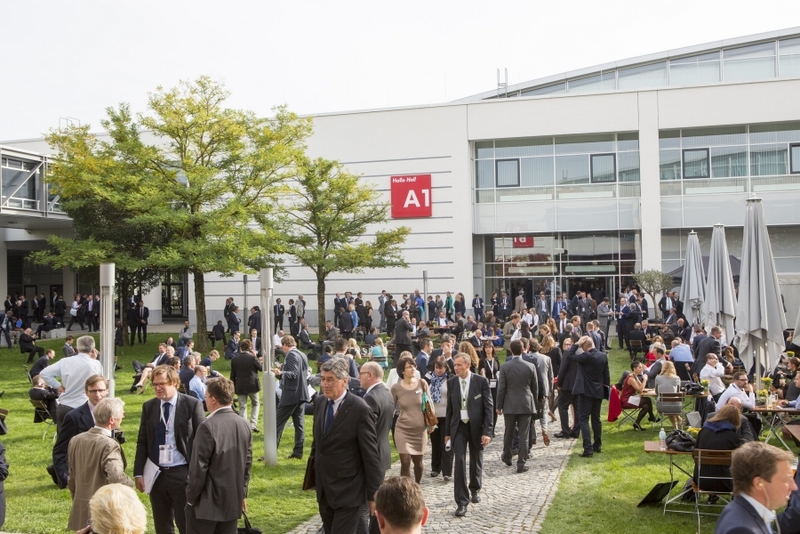 Like earlier, at the same place in Wienna, it will be a new opportunity after a year for professionals to meet. We all wait impatiently the result of referendum in England. This year EXPO REAL forum, the twelfth in a row, will take place from 4th to 6th October at the same place. We just want to remind this year for the first time in the history of holding this event, the starting day of this year EXPO REAL forum is not the first Monday in October like it was so far but the first Tuesday in October 2016. Obvious comment of this change is final separation from the last day of OctoberFest. We expect the complete conference program will be soon announced. Everything indicates that this yearâ€™s REBEC which takes place in period from 20th to 22nd June in Metropol hotel will offer the best collection of spokesmen so far. The three main theme unities during those three days will gather more than 200 professionals from the country and abroad. See more details on www.rebec.rs. See you in Belgrade. 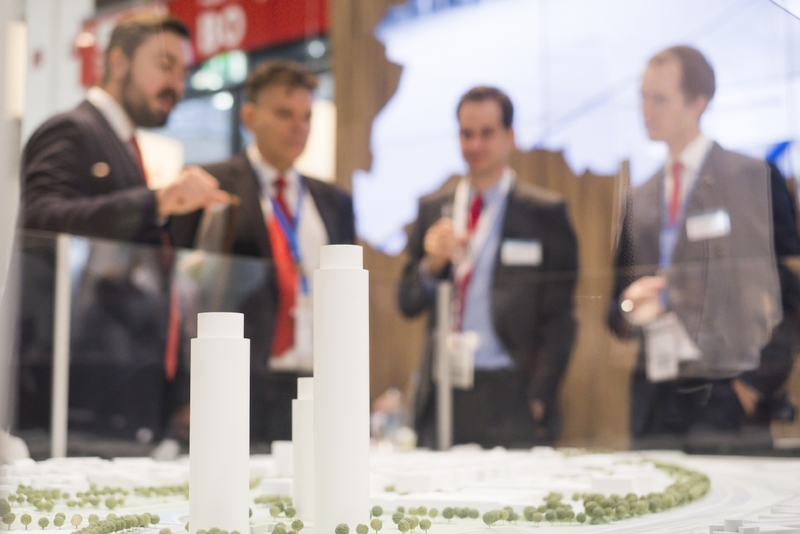 According to interest of foreign investors with whom we negotiated during MIPIM about their visit to REBEC event, foreign visit of the highest quality so far is expected. Now already, we can confirm visit of key positioned directors and managers from IMMOFINANZ, ERSTE Group Immorent, EYEMAXX, VINCI Construction, FCC as well as of hotel brands such as Hyatt, ACCOR, Hilton Steingenberger, Institutional banks EBRD, IFC and of many others. That is one more of indicators of growing interest for real estate investment market in Serbia and SEE area. See you in Belgrade from 20th to 22nd June. 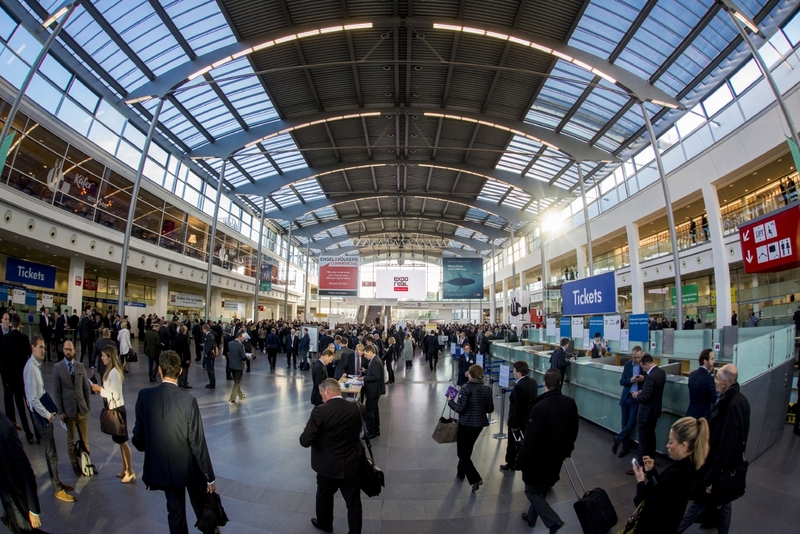 Traditionally, the first Monday in October is reserved for EXPO REAL in Munich. On a modern area of ? 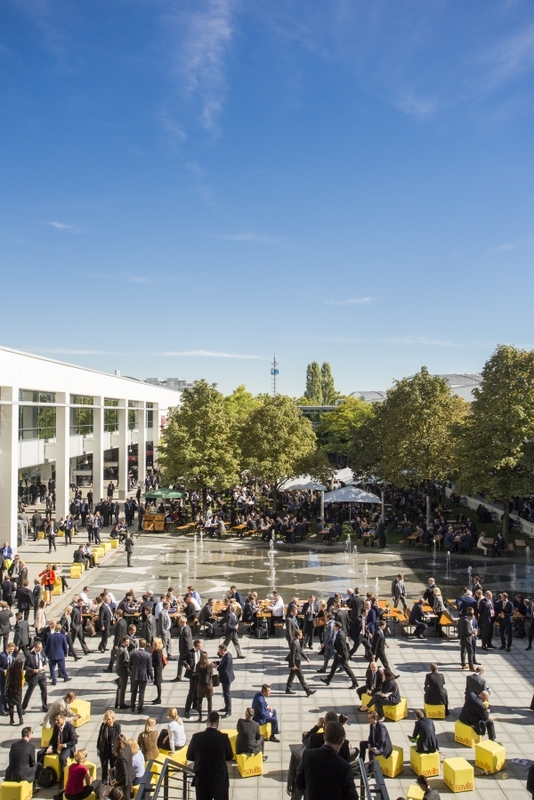 ?the Munich fair, 6 halls on approximately 70,000m2 of space, under the roofs of halls A1 and A2, B1 and B2, C1 and C2, every year EXPO REAL gathers professionals who exhibit and visit this prestigious event. 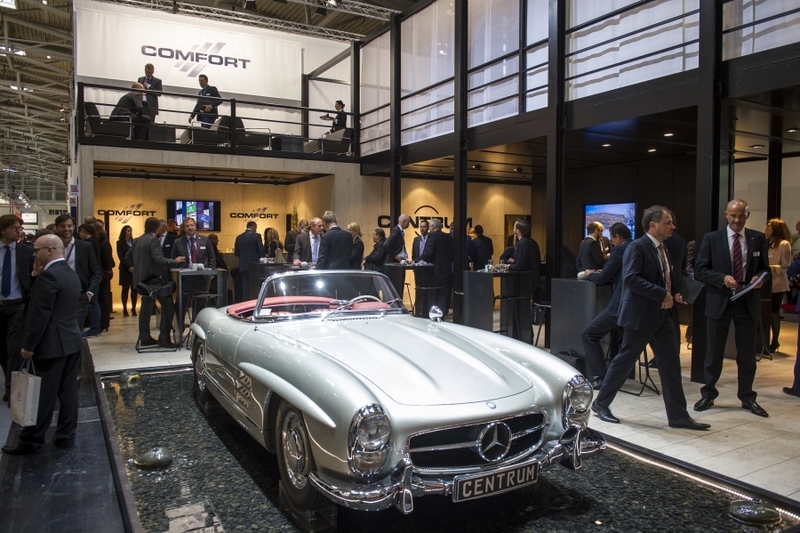 Just like in the previous years, the number of people present regularly reaches over 36,000 participants, about 19,000 visitors and almost the same number of representatives of cca 1700 exhibiting companies. When it comes to this year, for the eighteenth consecutive time (the premiere was held in 1998) in all of the above categories, the results achieved were better than the last year and the numbers for 2015 are as follows: 37857 participants (2014: 36,893) from 74 countries, of which there were 18,985 visitors (2014: 18716) and 18872 representatives of the exhibiting companies (2014: 18177). The ratio of the visits from Germany and from abroad was 72% from Germany and 28% from other countries. The top list of 10 countries visitors were coming from, apart from Germany, looks like this: Great Britain, the Netherlands, Austria, Switzerland, Poland, France, Czech Republic, United States, Luxembourg and Spain. 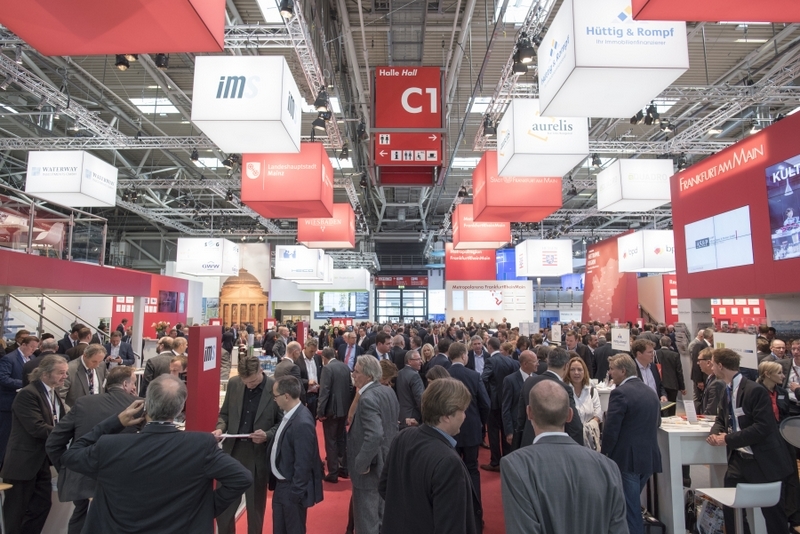 The total number of exhibiting companies was 1707 (1,655 in 2014 from 33 countries). 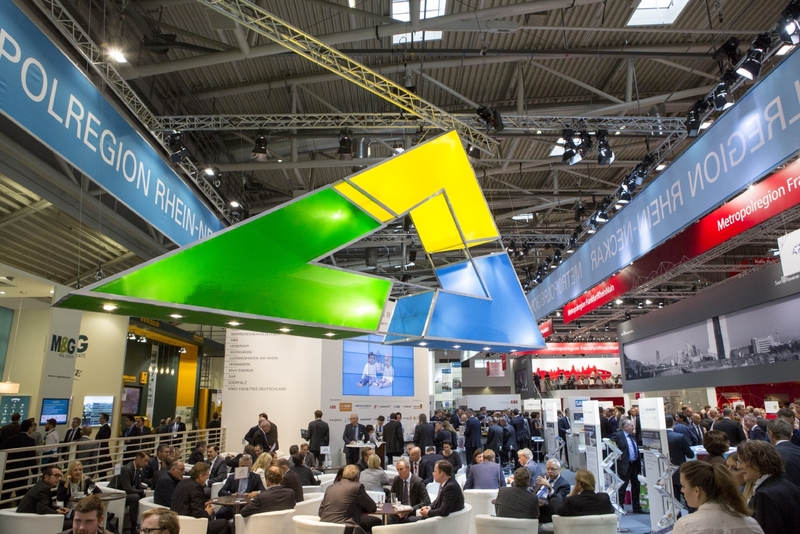 The ratio of German and foreign exhibiting companies is 77% of exhibitors from Germany and 23% from other countries. The top 10 countries of EXPO REAL exhibiting companies is as follows: Germany first course, Austria, Netherlands, Switzerland, Poland, United Kingdom, France, Luxembourg, the United States, France and the Russian Federation. 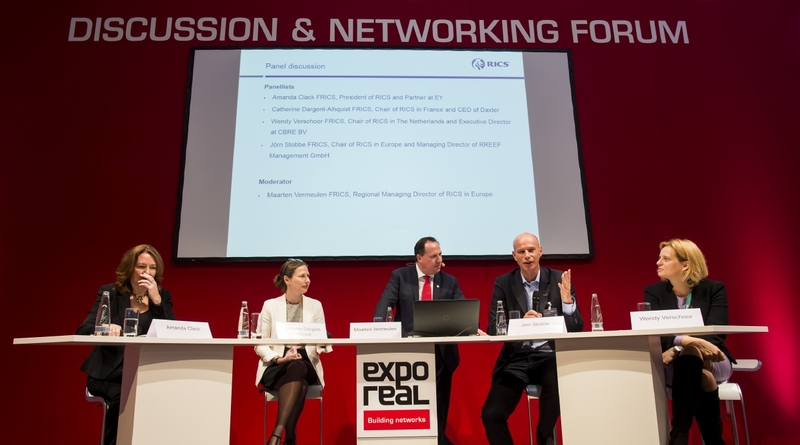 All indications have announced successful holding of business talks on Expo Real. The real estate sector is apparently in good condition and medium-term prospects for further recovery appear to be positive regardless of the current situation in Europe. This year too, there were 5 conference programs that were held in parallel and lasted all three days of this year's Expo Real event. We would like to particularly point out the "Investment Location Forum and the" and the panel depicting the SEE market, and within it, in particular, the Serbian, Croatian and Slovenian markets. On Tuesday, October 6 at 12 o'clock in Hall A1, at position 040, in front of 142 listeners, (of 200 available seats) on this panel Heimo Rollett, the editor of the web portal Immobranche-a (www.immobranche.at ) from Vienna, moderated the 50 minute discussion. The speakrs were: Jovica Jakovac, Managing Director of Real Estate Asset Management Group, NLB Bank Slovenia; Clemens Schranz, Managing Director SEE, Soravia Group, Serbia; Friedrich Wachernig, a member of the Board of Directors, S Immo AG Austria and Patrick Zehetmayr, deputy director of the Commercial Sector Real Estate in Erste Group Austria. Mr. Rollett led and guided the discussion in a high-quality manner, but nevertheless it seemed that, apart from the representatives from Slovenia, all other speakers were too qualified for this conversation. That is, their current positions are so high that small real estate markets, such as the markets of Serbia, Croatian and Slovenia, are unable to be seen clearly and even harder for them to be competently discussed. Still, the organizers should be commended for allocating this topic in the official program, as well as for the quality of the speakers, although it was obvious that the frequent questions from the audience at certain times, modeled this panel instead of the moderator. The general conclusion and general impression from this panel that is being imposed: it is a fact that the Serbian market has already been identified as the next one which will have a big leap when it comes to investments, as well as the increased demand and it will be the market in which will be characterized by increased consumption. Croatian and Slovenian markets have already become ďż˝saturatedďż˝ and are showing the features of a decline, and realistically, at best, they can only keep a constant tendency of a drop down when it comes to the growth in terms of demand. It is interesting to note that only Slovenia had its own independent booth, while Serbia and Croatia did not appear independently this year. We cannot boast again that Serbia on its own and under the distinctive name, had its own booth. However, within the group stand in Hall A1 at position 110, under the name of Central Europe, somewhere in the middle, between Wolf Theiss and the Hungarian Investment Promotion Agency, the stand of VIP from Novi Sad was positioned, as well as the stand of the Regional Development Agency of Banat. As usual at such events, "the small onesďż˝ cannot be well seen unless they perform jointly. More particularly, when one has in mind that the neighbors of Serbia at the stand were reputable companies such as the lawyers Wolf Theiss and Leitner Leitner from Vienna, magazines Die Presse and Immobilien Magazin from Vienna also Warimpex Finanz, the administration of the City of Vienna, WISAG Facility Management, Otto Real estate and many more in addition to the above. But in a way, the continuity of presence of Serbia was kept, just as one could notice that on the stand of Immofinanz, on a geographical map of Europe Serbia's territory was filled in with colour to show that this prestigious company is conducting its business activities in Serbia. Also, on the stand P3Logistic, from the Czech Republic, on their video wall, from time to time appeared the location of 50ha in Indjija. Indjija is also waiting for its turn for the beginning of investing and construction of a modern logistics center. It is difficult to otherwise comment on the size and number of visits to professionals from Serbia at Expo Real when Serbia did not have its own separate exhibition point. But if you enter the official base of visitors and if you perceive the presence of professionals from Serbia, who, since they are working for renowned companies which were exebitors, had to come to EXPO REAL 2015, the number of 30-35 participants from Serbia, would appear as an acceptable data on the number of visits from Serbia. As in the previous three years, the representatives of REBEC and REMIX video production were observed as very active participants in this year's EXPO REAL. We recorded the entire SEE panel and it is expected that it will be broadcast soon. Also, we recorded a multitude of interviews. A great number of REBEC 2016 speakers already confirmed their participation, just as it was confirmed that in the conference part of REBEC 2016 one FM company from Germany will appear as the exhibitor. An agreement was reached on mutual cooperation with Andreas Schiller and SPH Newsletter; EuropaProperty, as up to now, confirmed the dynamics and scope of their writing on Serbia, and when it comes to MIPIM 2016, its organizers are going to publish news on REBEC in regular monthly publications, up to the moment of the opening ceremony of REBEC 2016. FIABCI, Palmer Capital and DB Consulting also confirmed their arrival to REBEC 2016. In the end, as always, should already announce the hosting of the next Expo Real event. The next year's reunion in Munich is scheduled for 4-6. October 2016. 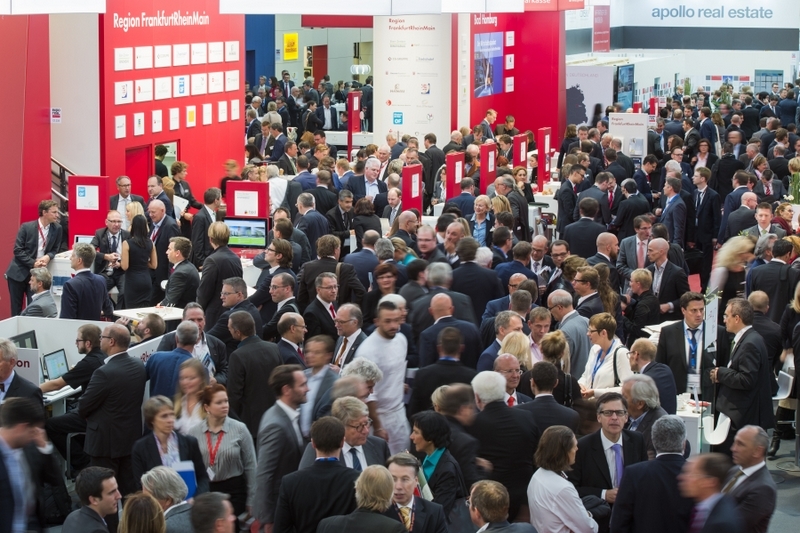 So letďż˝s just say: see you at the Expo Real in 2016! Organizers have confirmed a list of speakers twenty days before the start of the one-day specialized Portfolio conference, that will take place on the 23rd of September in Vienna at the Park Royal Palace Hotel. 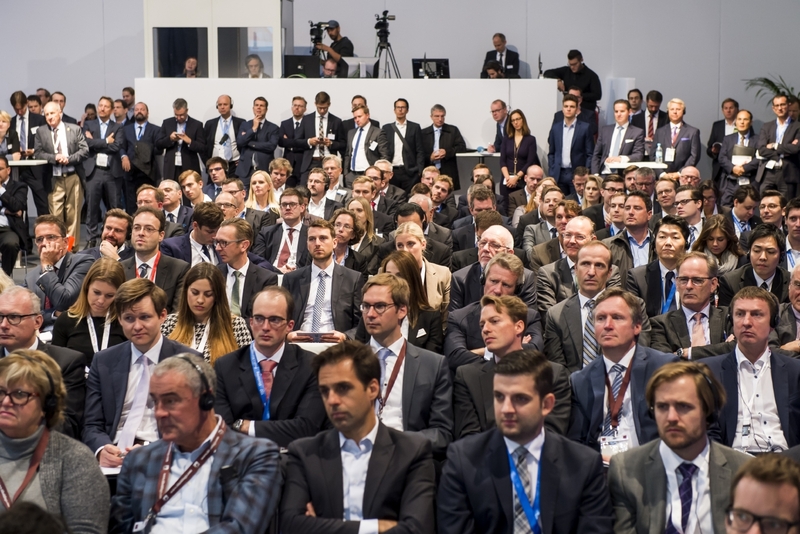 Aareal Bank, CA Imo, ImmoFinanz, CBRE, Colliers International, Centrice Real Estate, Cushman & Wakefield, EHL, Erste Group Immorent, PKF Hotelexperts, Portico Investment, UBM Development, UBS Global Real Estate and many more. It is interesting to mention that, so far, there is only one representative from Serbia on that list and ithat is "Belgrade Waterfront project" together with their investor EagleHills. We hope that there will be many more representatives to come from Serbia interested to take participation by the beginning of this conference. Mr. Anrew Peirson, regional director of JLL for the SEE and Romania based in Belgrade, is currently the only one on the list of speakers from the territory of Serbia. In our previous news article we announced the presentation of three markets from the SEE region and our region. In the meantime, the third speaker was confirmed. In addition to Mr. Jakovac and Mr. Wachering, the third speaker will be Mr. Patrick Zehetmayr, deputy manager of the Commercial Real Estate division of Erste Group in Vienna. Regarding the exhibition, if you search database for “Slovenia”, it will now show the exhibitor SPIRIT, a Slovenian state agency for the promotion of innovation, investment and tourism. That is a stand in a Hall B2 No. 410. The situation with Serbia and Croatia is not fully clear yet. During the search, one exhibitor and one co-exhibitor who have their stands are found, and they have indicated interest in their profiles and perhaps a presentation of the projects from these two markets. These are the SES Spar GmbH in Hall A2 with a stand No. 112, who si an independent exhibitor , and Falkenstener, a co-exhibitor at a large stand in Hall C2 at No. 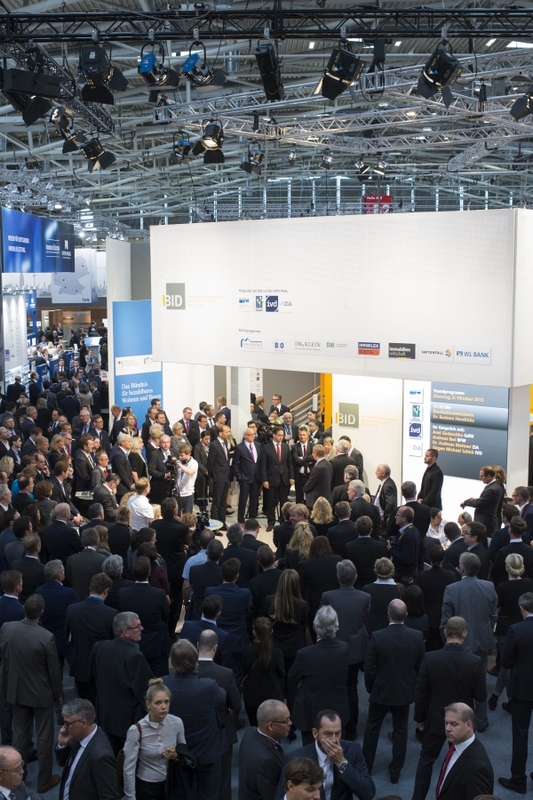 230, where in addition to them, Accor Group, Carlson Rezidor Hotel Group and Christie + Co GmbH are exhibiting. When you set criteria to search for visitors who are interested for Serbia, there are 5 of them so far. We believe there will be many more by the beginning of this year's Expo Real. On the Exporeal website www.exporeal.net, in the section of “Investment Location Forum” it was announced that on 6th of October, starting at 12 am, Hall A1,stand 040, an appointment will be held related to the presentation of investment opportunities in Slovenia, Croatia and Serbia. A moderator has been appointed and it is Mr. Heimo Rollett, chief editor of the portal ImmoBranche (details can be found at: www.immobranche.at). So far two speakers are confirmed and announced. The first one comes from Ljubljana. It is Mr. Jovan Jakovac, general manager of financial asset management in the NLB bank in Slovenia. The second speaker comes from Vienna and it is Mr.Friedrich Wachering, a member of the board of S IMMO AG from Austria. Judging by the speakers that are announced so far, a good quality panel and a discussion on the possibilities of specified markets is to be expected. As for the other exhibitors from the Western Balkans markets there are still no confirmations on the leased stands. When you miss an opportunity to attend to this kind of an event, investors interested in your market notice that. Then they start asking questions what is happening to the market. If they have no one to reffer to, most likely they interest will diminish. Therefore, the continuity is mandatorywhere promotional activities are a very important factor for the overall success and the increase of the number of investments on a market. Organizers have confirmed a list of speakers a month and a half before the start of the one-day specialized Portfolio conference, which will take place on the 23rd of September in Vienna at the Park Royal Palace Hotel. There are around 30 confirmed speakers at the moment. In the week preceding the conference, at least another 10-15 representative speakers are expected to confirm the attendance. As usual, the last day of the October fest coincides with the first day of Expo Real's. Organizers of Expo Real presented last year's success with a total of 1,655 exhibitors (2 more than in 2013) from the same number of countries (34 countries of the world) and a total of 36,900 visitors (900 more than in 2013). Last year, Serbia had one exhibitor, Banat region, and was not thematically represented in the rich three-day conference program. This year, Expo Real organizers paid special attention to our region usually reffered to as the Western Balkans or Yugo sphere market. It has already been announced that three markets will be presented within the Investment Location Forum: Slovenian, Croatian and Serbian. This is a traditional forum where every second year Serbia had been independently presented. In the context of a wider territory of three markets, organizers now recognize the need to show the potential from three independent states. As of today there is no announcement of speakers, as well as no information about the exhibitors from these three countries, that was made public in theexisting database. We hope that organizers made a good prediction and that their expectations of exhibitor’s participation from these three markets will be successful by the opening of this year's Expo Real event. Will Serbia appear at the Expo Real 2015? The next big event ahead of us is related to the promotion and attraction of investments in the Real Estate. EXPO REAL website attracts more and more visitors every day and true professionals are widely promoting and announcing their presentations and business meetings in the effort to initiate and accomplish their new partnerships. 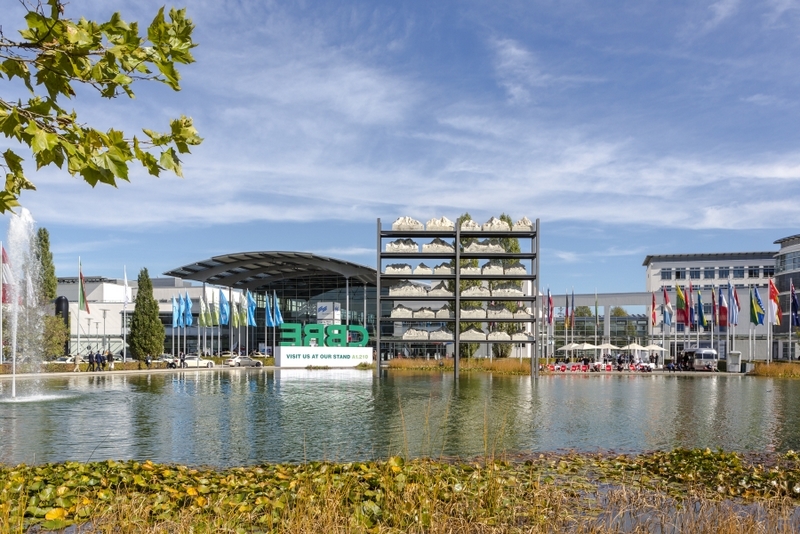 This year, as usual, the Munich fairground will be the center of this part of the world for the eighteenth time, from 5-7th of October, traditionally three days from the first Monday in October. Recently, all of the six available halls in Expo Real were filled and this year it’s expected the same or even better availability of exhibition space in Halls A1-A2, B1-B2 and C1-C2 particularly bearing in mind the recovery of accompanying industries. Regarding the exhibitors from Serbia, we have no reliable confirmationthat the stand related to the promotion and attraction of investments in projects coming from Serbia would be the same as last year. To remind you, both representative and holder of the exhibition activities in Serbia last year at Expo Real was Banat region. T twelve municipalities of Banat, as a part of the Autonomous Province of Vojvodina, exhibited their potentials to the investors and we hope that they will be able to do it this year as well. A call for participation to the Portfolio conference scheduled for the 23rd of September in Vienna is already under way. As in the previousyear when first such conference had taken placein Vienna, there were over 200 participants at the Park Royal Palace Hotel. This year close to 300 visitors - conference participants are to be expected. Organizers are hoping for the success of this event as well as sponsors who confirm these expectations. In cooperation with RICS main partner will be famous NOERR. As in the previous year in Vienna, sponsors are ImmoFinanz Group and CA IMMO together withColliers International and Cushman & Wakefield who decided to sponsor this specialized event. As always, regular sponsor is TRIGRANIT. Participation of the professionals from Serbia is expected to be on the same levellike last year in Vienna. During this year's REBEC event, organizers provided the audience with the opportunity to have a single panel participated by the representatives of the three most important specialized events which more or less regularly promote Serbia. Those were the representatives of Greet Vienna, MIPIM and MAPIC and Expo Real event. Among others, Mr. Stefan Reschke said that in the past few years, Serbia has demonstrated its growing investment potentialswith the same problems like in Croatia, where the decision makers who are deciding whether to present these markets or not are constantly changing. Professionals responsible for promoting and selling these events have similar problems every year and that is how to convince promotion leaders to organize and consistently attend this event. 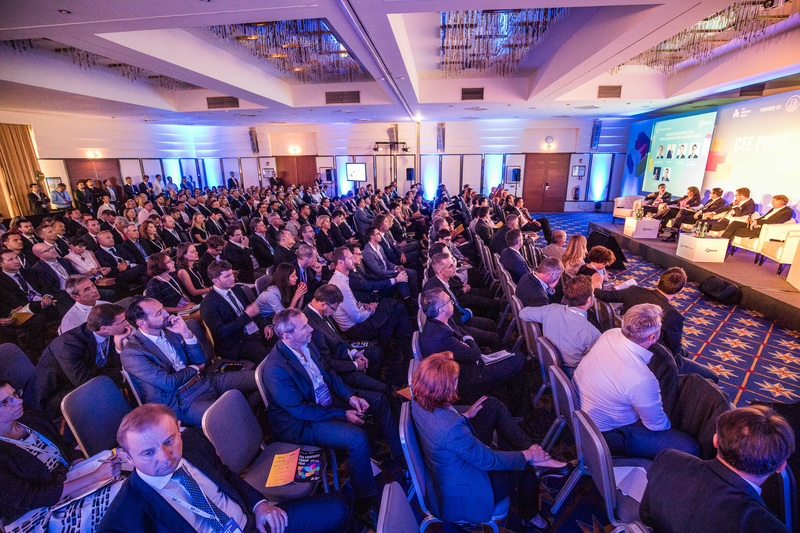 After the successful closing event of the Portfolio Property Conference held in Bucharest on the 10th of June, the next conference is announced for Wednesday 23rd of September in Vienna, at the Park Royal Palace Hotel. 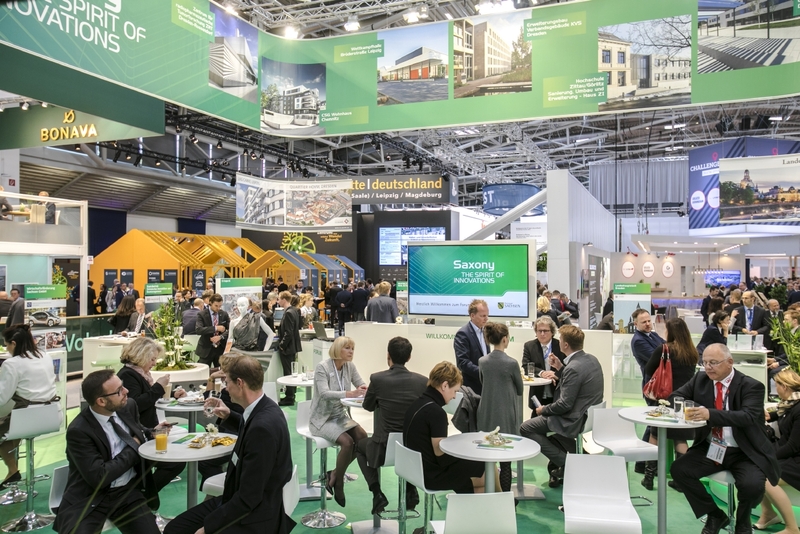 A series of specialized annual conferences organized by Portfolio in cooperation with RICS were launched last year and it will continue throughout this year. The opening of this specialized series was held at the end of May 2014 in Belgrade. For the first time Hotel Metropol Palace Belgrade brought together specialized professionals from SEE region. With the generous support and cooperation of RICS, majority of RICS members from the region gathered in Belgrade to exchange oppinions on their markets. After Belgrade, the Portfolio held two more conferences last year, first in Vienna and second in Budapest. Two conferences were also held during this year. The first was held in Budapest and the second, as we mentioned before, in Bucharest. The upcoming third conference in Vienna is scheduled for the 23rd of September 2015. 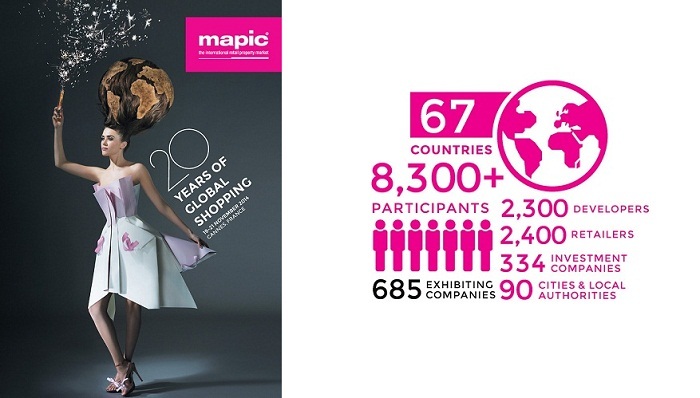 This year, MAPIC jubilee event will take place from 19th to 20th November. 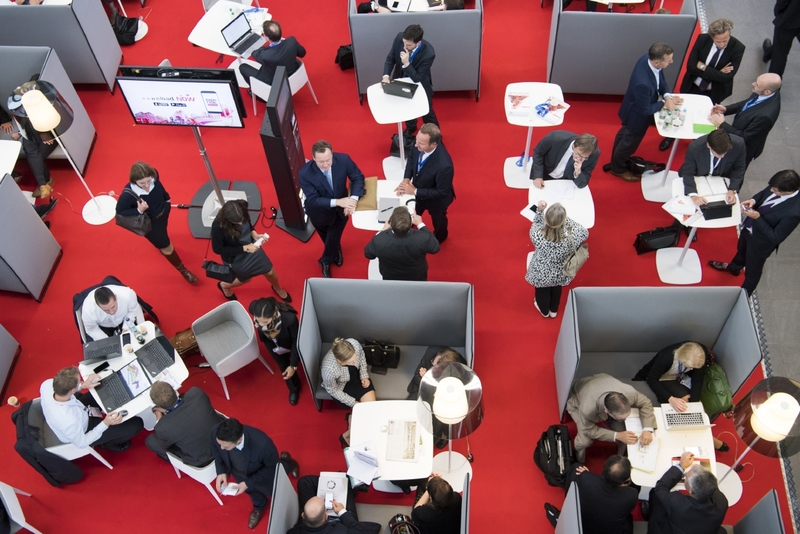 The 20 years old MAPIC, MIPIMďż˝s younger brother, will celebrate its anniversary on the well-known location in Cannes on the Cote d'Azur, traditionally in mid-November. At least in this part of the world, all professionals who work in the development of retail sector will be present at the Palais des Festivals and will additionally contribute to the grandness of this event. All indicators in Europe show a recovery of the retail sector and increasing demand in this domain. On the other hand, the impact of the crisis in Ukraine and the sanctions that were imposed on Russia, have a more psychological than a really negative impact on the further development of this sector in central Europe. 67 countries have already announced the presence of over 8300 participants, 685 exhibitors and 1400 representatives of significant brands. Besides that, there will inevitably be 2300 developers and over 980 investors. The organizers have announced the presence of 412 new brands that are present in the development of this sector. 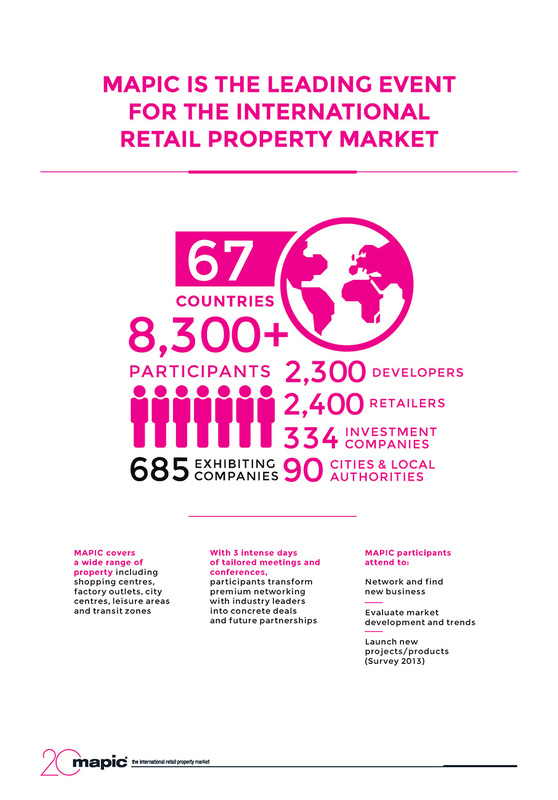 Having in minds all these facts as well as growing demand in Southeast Europe, this MAPIC too should confirm the evident increase in, among other things, the interest for the development of the retail sector in Serbia. Several transactions were implemented in the last six months in this market (eg. purchase of the Shopping mall Plaza Shopping Center in Kragujevac). There is a visible growing demand for sites where the development of retail parks in small towns in the interior is envisaged to happen, with the announcement of the start of the construction of a large shopping mall in Belgrade of 150.000m2 within the project "Belgrade Waterfront", all this additionally reinforcing and enhancing the demand. 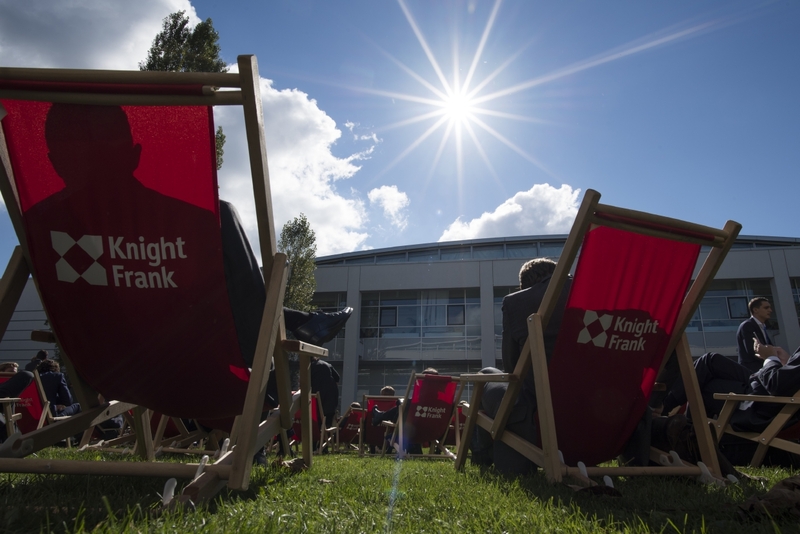 What is also expected is the softening of the stern banking conditions regarding the equity amount and the number of pre-contracts signed with tenants who are interested in the new locations of retail parks. Local governments and developers with locations in Subotica, Sombor, Belgrade, Cacak, Zrenjanin and Kikinda, have already been identified to, with potential locations that have the potential and more than reasonable, on this yearďż˝s or the occasion of this year's MAPIC, finalize the transactions they were preparing for a long time. This interest will definitely position Serbia at key place in the SEE region for the development of the retail sector. As things are now, this will be the first time that a greater number of representatives and professionals from Serbia will appear with their projects at MAPIC, after 2008, when there were 5 exhibitors and around 40 visitors from Serbia. 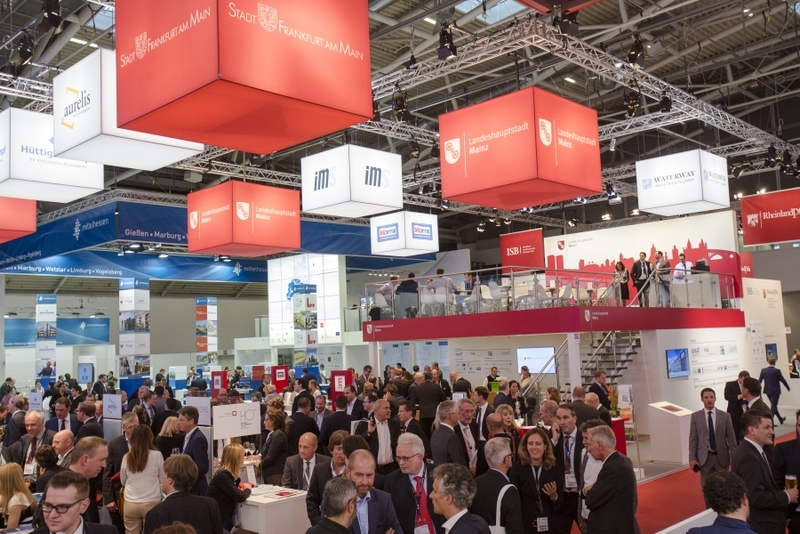 Sďż˝verine Menut, MAPIC and MIPIM Sales Director in charge of the market in Scandinavia, the Baltic and Poland, during the Expo Real 2014 event, announced MIPIM UK premiere. 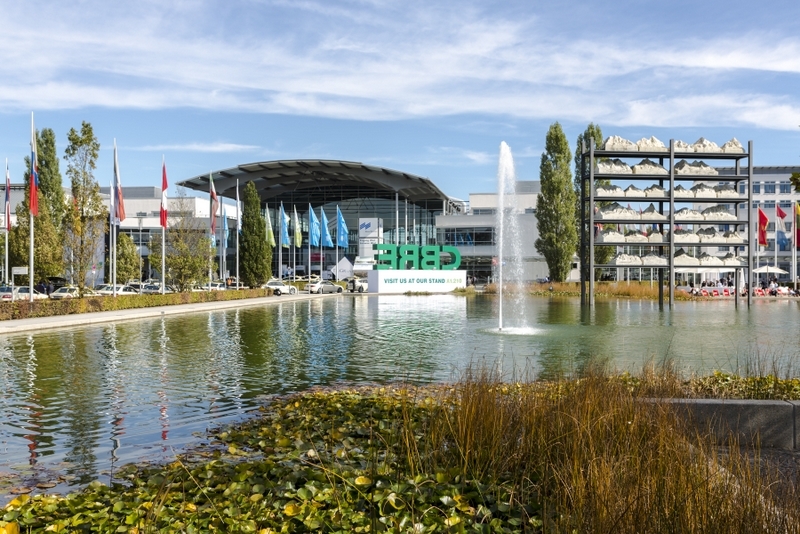 As the organizer of specialized events, among other events dedicated to the development of real estate investments that are held in Cannes, Tokyo and Hong Kong, in a line of its products, Reed Midem will offer to the market such an event Europe. And it's taking place in London! 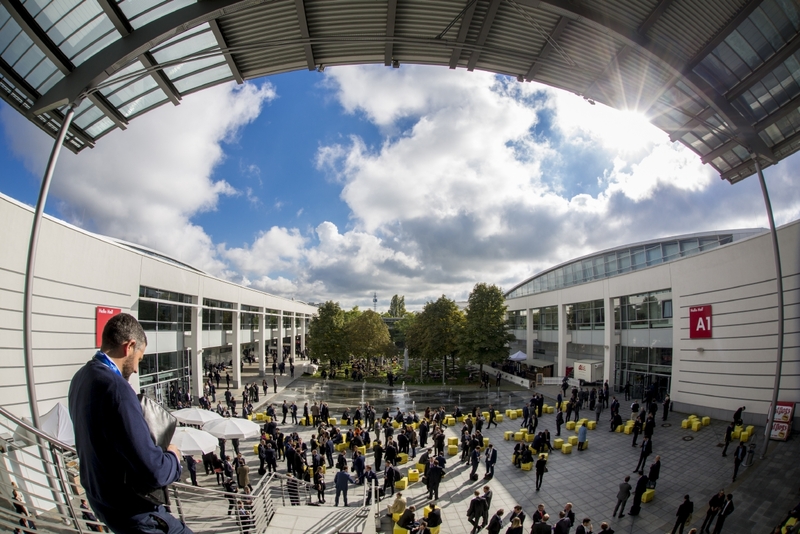 This year, for the first time in Britain, in the capital of the United Kingdom, a specialized garthering will be held at the prestigious Olympia, for the first time in Europe outside Cannes, and will additionally spotlight the selected local investment market. The UK real estate market has shown a particular vitality during the investing crisis, and in the meantime, all the indicators confirm the additional increase in the interest in investing in this market. Therefore, as Ms. Menut said, this is an exceptional opportunity for a "known" market to be highlighted in a special way and additionally supported. Reed Midem is known fo having a strategy to support and further promote selected markets in the world. Thus, they initiated similar events in Hong Kong, related to the real estate markets of Asia and in Tokyo, related to the development of the real estate market in Japan. Over 600 investors are expected and projects from more than UK 35 cities will be presented to more than 4000 participants. Having in mind these confirmations and certificates of success, the organizers have already scheduled the next event in the same place next year from October 21-23! 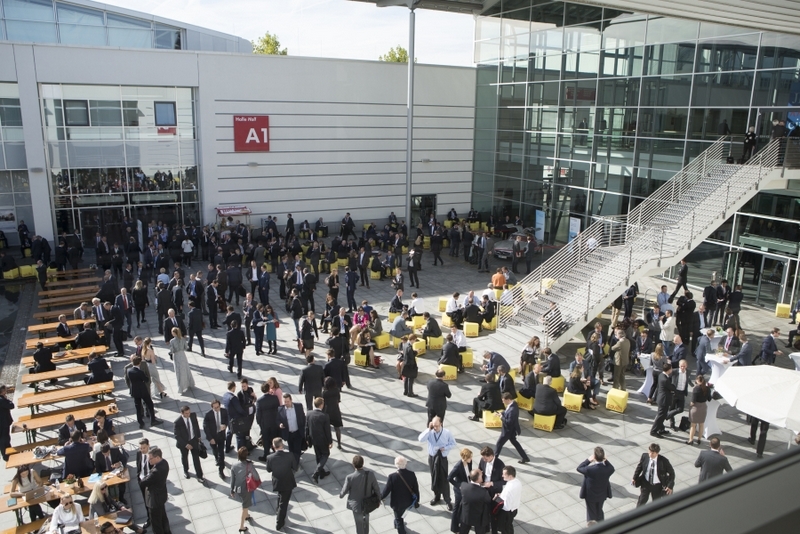 In the cool morning of the first Monday in October 2014, starting from 9 AM, the doors of the fair in Munich officially opened for all participants of Expo Real event. This was the seventeenth time that the Expo Real event, dedicated to the professionals dealing with investments into the real estate development took place. This year 1655 exhibitors from 34 countries of the world have their presentations, and final effect of the visit will be known on Wednesday, 8th October around 4 PM. The top ten exhibitors countries are Germany (naturally on the first place), followed by Austria, Holland, Switzerland, Poland, UK, Russia, Italy, USA, Luxembourg and Czech Republic. This year as well Serbia had a booth, however, a modest one giving the current situation, although that should not be an excuse. Since SIEPA, VIP or BEOLAND, as the traditional representatives of the investment possibilities in Serbia failed to lead the presentation in Expo Real 2014, Banat Regional organization in charge of development gathered several municipalities for joint presentation. Even with such ďż˝narrow geographical presentationďż˝ Serbia succeeded in keeping the continuity of the appearances, enabling further benefits to be realized through exhibitions and visits which Expo Real enables each year. When it comes to former Yugoslav republics, now independent countries, FYR Macedonia and Montenegro have not exhibited at all. Bosnian FIPA, Slovenian JAPTI, nowadays ďż˝Invest in Sloveniaďż˝ and a booth presenting the tourist investment possibilities in Zadar and surroundings, next to Banat are the only ones representing the Ex YU territories. In the next three days we shall see how Serbia is treated and valued as investment destination. We hope that Serbia will be better represented on the succeeding Expo Real, which will be held in period 5 - 7 October next year. In the latest published content on the web site of this year's Portfolio CEE Property Forum, which will be held on September 25th at the Park Royal Palace in Vienna, the organizers have announced that the representatives of VIP - Vojvodina Investment & Promotion Agency from Novi Sad and the reputable law firm "Jankovic, Popovic & Mitic" from Belgrade, will be present as the participants of the Conference. This is one more modest, but valuable confirmation of the quality of this event and the message that the professionals from Serbia need to visit this event. In the anticipation that in the next 10 days some more event applications will be sent from Serbia, we would like to announce that numerous companies that have their own business and investment operations in Serbia will be among the selected speaker and visitors. It will be another opportunity where you will be able to, with the representatives of these companies, discuss the possibilities for further continuation of business operations in Serbia. The companies such as IMMOFINANZ, CA Immo, Bluehouse Capital and Zeus Capital deserve special attention. Of course, besides that, the superior management of renowned representatives of CBS International, Colliers, JLL and Cushman & Wakefield will contribute with their presence to a possibility to enjoy a high-quality discussion, proposing and initiating of mutual interest based partnership. We believe that this is one in a series of events that will, together with RICS, in anticipation of the arrival of better investment time, having in mind all the obvious problems, indicate and announce all the allure and advantages, as well as cost-effectiveness, of certain segments of the investment ventures in the CEE region. The final preparations for this year's Expo Real event are rapidly being completed. The visitors, those disciplined ones, have already bought the tickets and have scheduled their meetings with targeted partners. The exhibitors adjust their schedules of events and meetings, so that they are able to, on their stands in the three days, achieve the highest possible impact and make valuable and numerous contacts. The organizers are entering the last three weeks, where more or less everything is already prepared and published. Thereďż˝s just enough time for those filigree touches that will enable this year's event to bring to all interested parties, positive effects that can not be achieved at any other similar event. Remix Production TV crew from Serbia is also preparing for the road to go to EXPO REAL. We have already arranged for 11 terms for interviews with prestigious participants who will, like last year, when Remix Production visited EXPO REAL 2013 for the first time, answer our questions. We expect that the answers will like last year, provoke enough interest, not only of the audience in Serbia, but also the markets of the former Yugoslavia. Believing that we do positive things, we invite all interested parties to contact us via office@agnekretnine.com and / or office@rebec.rs so that we can better prepare and record, and after this year's EXPO REAL publish, together with you, our video works. Although Serbia doesnďż˝t have its own stand this year, we will try to convey the expectations and attitudes of the selected and recommended professionals regarding the quality of business expectations that the real estate market in Serbia and the region provide, just like we did last year. 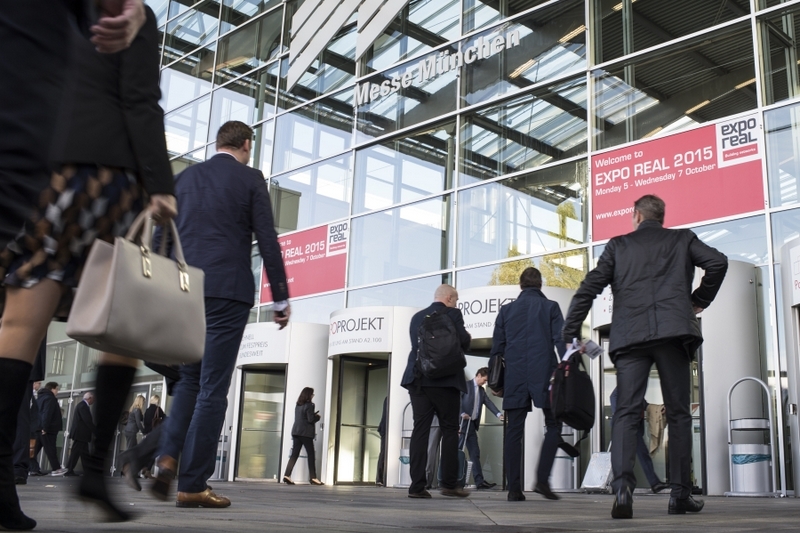 In the meantime, until the beginning of this year's EXPO REAL event, we would like to remind our clients and viewers, of the selected last yearďż˝s statements that we have published. We would like to re-emphasize and remind of the fact that were published last year. It will be an opportunity to offer a comparison of last year's and this year's statements, to present to our audience some facts and information that we believe will in the forthcoming period, be of use in making key decisions for the realization of their business in Serbia and the region. We expect that this year we will be even better, that our works willbe even more visited and viewed more than last year. The autumn season of specialized events dedicated to the development of real estate investments, commences with the CEE Property Forum 2014. The attendance of about 300 professionals from CEE is expected at hotel Park Royal Palace in Vienna, on Thursday 25th September. 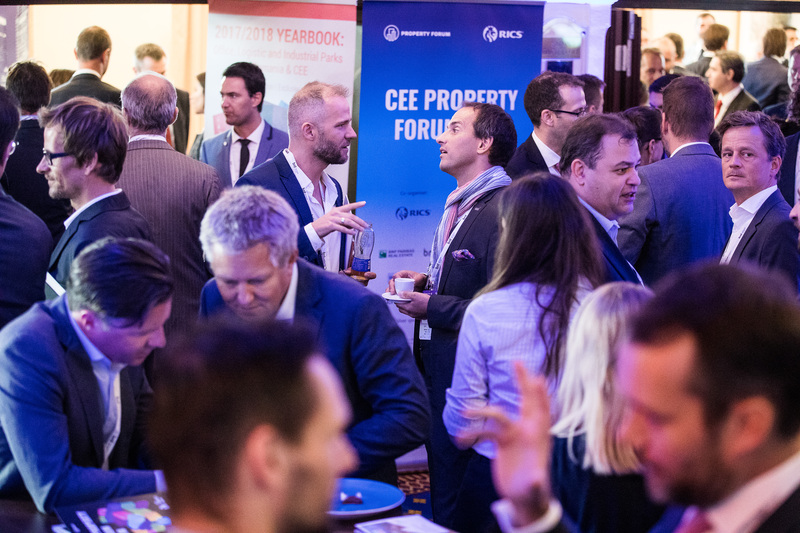 This will be the second CEE Property Forum; the first one was held in Belgrade on 29th May this year, in Hotel Metropol. Organized by Portfolio Media group and with the partnership support of RICS, there will be a one-day meeting of professionals who do business in the target markets, which belong to Poland, the Czech Republic, Slovakia, Hungary, Romania, Bulgaria, Croatia and Serbia. 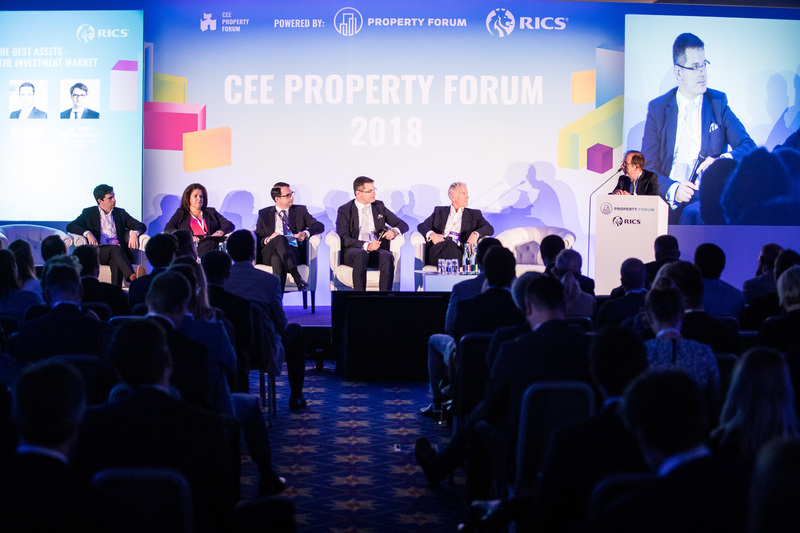 Apart from the regular and expected topics, what will be specially emphasized in this year's program of the Portfolio CEE Property Forum, are the topics related to the development of the real estate investments in the CEE region, affected by the political crisis in Ukraine. The particular discussion that is being expected is the one on the influence of the introduction of the EU economic sanctions to Russia and how this fact will reflect on the further development of investments in the CEE region. It is interesting to note that Serbia is the only targeted thematic market that is not in the specified geographical whole. Consequently and in such manner, the confirmed growing investment potential of Serbian real estate market is being identified. The offered announcement already lists the key speakers and provides the expected composition of the audience. The key names of representative companies and their representatives from the region in the announcement of the event also indicate an absolute success. This year in Ljubljana, a new round of regional meetings of professionals engaged in the real estate development on the territories of Serbia, Croatia and Slovenia is about to begin on 2nd and 3rs October. The process which was initialized in December 2012, turned two rounds from Ljubljana to Zagreb and Belgrade. FIABCI Slo, Filipovic and REBECare the three points in the yearly gathering route that for the third time is starting in October in Ljubljana. Finally in its maturing phase, a conviction that business linking of professionals from these three markets creates in qualitatively and quantitatively high manner the basis and route for mutual interest-oriented collaboration, is becoming even stronger. Three relatively geographically close markets, but absolutely different with each other in this time of crisis definitively oriented, are creating a mutual network in a persistent, thorough and tendentious way. It will be again an opportunity to exchange views that emerged during the up-to-now period, to launch new and identify existing business interests. This year's apparent advancement in April in Zagreb, formed by joining professionals from Bosnia and Herzegovina, which was repeated in Belgrade at this year's REBEC, continues in Ljubljana. And so the presence of professionals from Bosnia and Herzegovina will make its first round, passing through all three points of regional business cooperation. According to the published program, it can be concluded that the organizers have made an extra effort to make the program more diverse and in accordance with the current situation in the region. A stronger visit is expected from Croatia and Serbia, which therefore additionally confirms the quality of the pioneer vision offered and shown in December 2012 in Ljubljana. See you in Ljubljana, 2nd and 3rd October in the BTC City, Bratislavska cesta 8! And that's just in the midst of the crisis in Ukraine and announced tightening of Europe and the United States economic sanctions of the Russian economy and population. In addition, England goes back into focus and remains a stable investment market with a small but steady income and profits. Turkey, Poland as representative of the CEE region, Romania in front of the SEE region, Italy, Spain and the Nordic countries will show their investment opportunities. That is altogether, a full circle of presenting of the selected most attractive and most interesting markets on the Investment Location Forum. Of course, in addition, the visitors will traditionally have the opportunity to satisfy their interests in the Planning & Partnership Forum, EXPO REAL Forum and Special Real Estate Forum. The organizers have decided to further meet the exhibitorsďż˝ needs and interests, so they have already published on Exhibition Events Forum, the schedule and booth numbers where the exhibitors will organize cocktails during presentations and interviews, which are expected to further attract the attention of the investment public. Several years ago, the duration of the traditional Oktoberfest was extended to last during that first Monday when EXPO REAL opens its doors, so this has additionally ? ?made the hustle and raised occupancy accommodation facilities in and around Munich. According to our sources, next Wednesday will be published confirmed speakers which will only raise further interest of representatives from region, to participate at this year's REBEC events. In late March (23 and 24 March 2011) will be held the second international real estate and investment fair in Slovenia ďż˝ PROPRIO. It is the perfect opportunity for all those working in the field of real estate and investments to get together in one single place and be able to provide the interested public with all relevant information on real estate buying, selling, renting, and restoring. Visitors have the opportunity to get first hand information on everything essential for a quality real estate transaction. The fair will present Slovenian and international agencies dealing with real estate development, developers of investment projects, regional developement agencies with investment projects, companies offering real estate mediation, economic and legal counselling, construction, geodetic and engineering companies, architecture bureaux, insurance companies, banks, and others who are active in the field of real estate development business. Proprio has also many parallely organized presentations, promotions and discussions with educational character. The Public Agency for Entrepreneurship and Foreign Investments of Slovenia will give advices on how to present projects to foreign investors in a suitable way, a partner from Serbia will present Slovenian projects already realized in Serbia, The Association for Green Building of Slovenia (DSG) will dedicate Thursdayďż˝s programme to green builders. This yearďż˝s novelty is represented by the exhibition ďż˝Letďż˝s build lastingly, letďż˝s work in harmony with natureďż˝, in the frame of which reference works from green building will be presented by DSG. Increased interest concerning real estate investments in South Eastern Europe! In late March (26. and 27. March 2010) will be held the first international real estate and investment fair in Slovenia ďż˝ PROPRIO. Original PROPRIO is basically fair manifestation with many parallely organized presentations, promotions and discussions that will have educational character. The fair will present the Slovenian and international agencies dealing with real estate development, brokerage companies that offer mediation in the area of real estate lending and acquisitions, economic and legal counseling, investors, building surveying and engineering companies, banks, insurance companies, investment funds and other actors who are active in the field of real estate development business. Knowing that there is a big crisis in the field of real estate development, organizers evaluate that this area is yet to be judged as the most dynamic and most interesting segment of the economy. This will be an opportunity to all interested professionals who deal with a wide range of activities in the field of real estate development to exchange relevant information in mutual communication and initiate new partnerships in the field of buying, selling, renting, renovation and property insurance. RegioPlan Consulting is an international consultant with head office in Vienna specialized on location consulting and market analyses in Austria and Eastern Europe. For over 25 years Regioplan has been the business consultant of Ikea, Marionnaud, Deichmann, Rodamco Europe, ECE, Bank Austria Real Invest, and many other companies on the issues of location, consumers, trade and market in Austria and CEE/SEE. Having carried out more than 3,000 studies in 24 European countries, Regio-plan is the absolute address for interregional and international surveys. For more than 10 years Re-gioplan Consulting has been organizing own conferences and seminars that have become the must-attend events in real estate business. 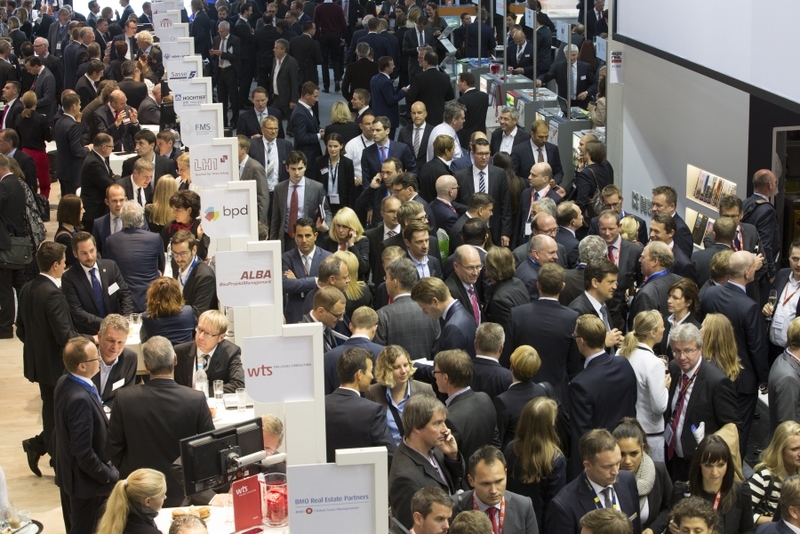 At the beginning of the year, prior to Real Vienna, with approximately 350 participants, the greatest Regioplanďż˝s conference takes place: The Shopping Center Symposia whose 11th edition has per-formed this year. Tops experts give lectures and reports on development and trends in the shopping center landscape in Austria and Eastern Europe. 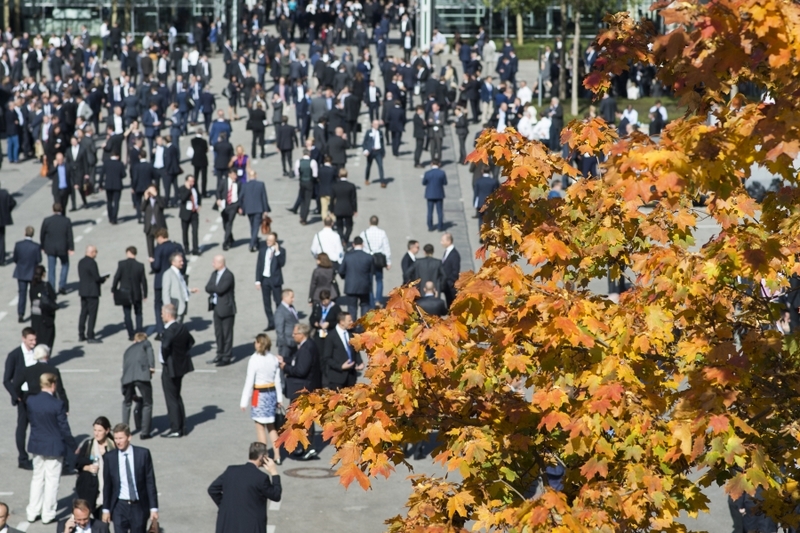 In autumn, the Experts Forum that has firmly es-tablished as the largest CEE real estate coference in Austria takes place for the 5th time this year. The conference performs in German and English languages. The 5th Experts Forum theme addresses the current economic situation in CEE/SEE region and the resulting consequences for the investors, project operators and developers, top executives from retail trade industry and service providers. Many people put a question mark over the potential fu-ture markets in the CEE/SEE region. Was is the right decision to focus on those markets? How do trade, investors and developers deal with the current situation and what is coming next? New sce-narios and tangible ideas for positive development are in demand more than ever. Distinguished companies debate on acquired experiences, prospects for the future and, above all, how to launch the projects worth of investments and/or what projects can be financed at all. 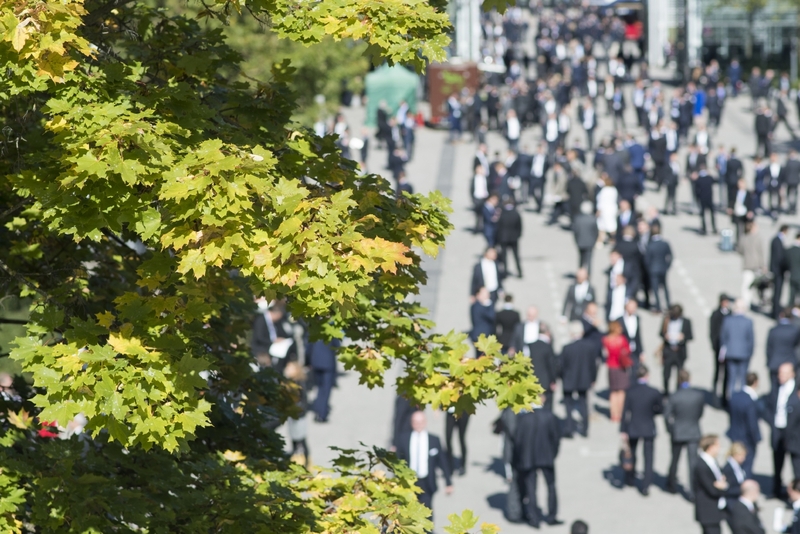 In Vienna, on 29th October, many famous people will gather to exchange views about the future of the CEE market, get into touch and closer contacts and find new ideas. On the platform will be: Dr. Bruno Ettenauer (CA Immo International AG), KommR. 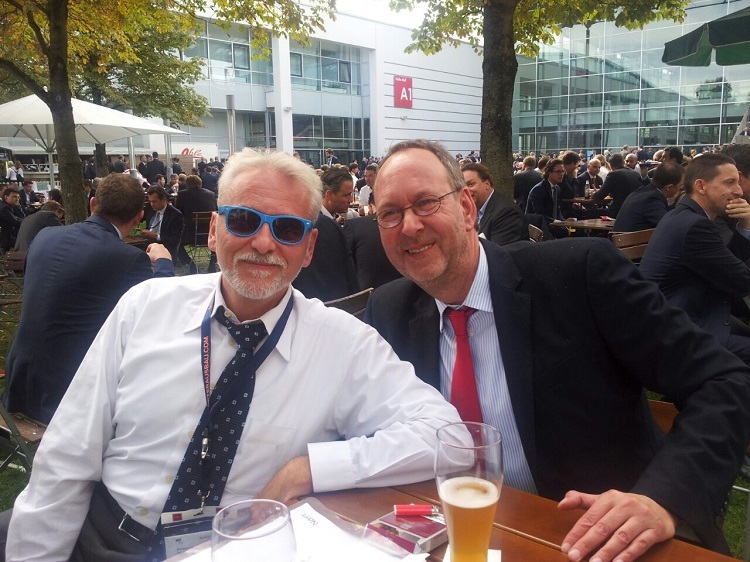 Prof. Alfons Metzger FRICS CRE (MRG Metzger Realitďż˝ten), Roger Hambidge BA MRICS (Mosaic Property LLP), Mag. Wolfgang Mitterberger (Raiffeisen Zentralbank ďż˝sterreich AG), Per Wendschlag (Inter IKEA Shopping Centre Group), Mar-kus Pinggera (Deichmann SchuhvertriebgesmbH), Alexander Korosec (Bestseller Handels GmbH), DI Wolfgang Richter (RegioPlan Consulting GmbH), etc. EXPO Italia 2009 was held between June 9 and 12 in Milan. It was the fourth issue of the manifestation, which is also known as EIRE, that is, Expo Italia Real Estate. EIRE is the event that is dedicated to real estate development achievements. It was organized at a different time than the last year, so that Real Vienna and EXPO Italia finally took place at different times. The increase in number of visitors and larger exhibition space than at the last yearďż˝s issue of EIRE already showed how long-sighted and effective that move was. This expo is primarily intended for Italian investors who, first of all, want to present their latest achievements, as well as to get potential developers interested in presenting their projects and ideas at this exhibition in Milan, that is, at ďż˝this real estate stock exchangeďż˝. Some of the ďż˝interestingďż˝ markets whose appearance at this yearďż˝s EIRE drew the attention of visitors are Brasil, Slovenia, Hungary, Romania, Greece and Turkey. Turks especially stood out in the search for fresh investment capital, and they also benefited from the official visit of Turkish Prime Minister who, by visiting the national booth of Turkey, drew additional attention to their appearance and potentials for further development of Turkish real estate market. As far as Serbia and promotion of its existing potentials related to real estate development are concerned, once again we did not have any exhibitors at EIRE. But that was the reason for initiation of a campaign for presentation of 4 projects whose quality, scope, nature of future use and expected engineering activities make them recommendable for future investment partnerships. That is why a mini presentation of projects by East Point, Port Beograd, Rudnap Group and Right Choice was organized. Judging from the first impressions, the presentation was excellent. 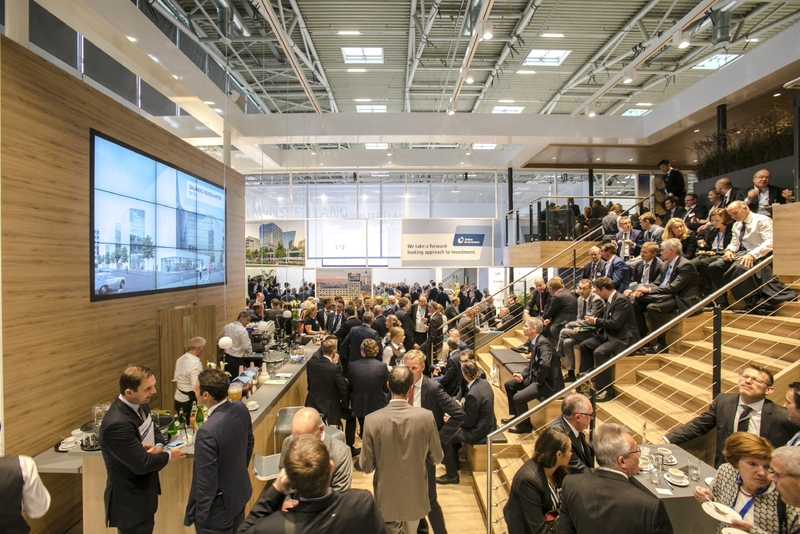 The representative of forthcoming REBEC used the visit to EIRE to get its hosts familiar with the details of this yearďż˝s programme, as well as with the contents and editorial policy of specialized magazine AG Real Estate. It can already be concluded that the quality of appearance of selected projects from Serbia at next yearďż˝s issue will be very high. After a three-year break, that will be an opportunity for Serbian real estates to, once again, draw attention of the investors who visit EIRE in Milan every year! Models of project financing, energy efficient and healthy buildings, influence of quality construction to property value, dominant tendencies in aesthetic design, the greatest challenges in construction performance on contemporary facilities, problems that the architects face at facilities reconstructions ďż˝ are only a part of the themes to which the experts were answering during BLOK Conference which took place at Zira Hotel in Belgrade on Thursday, 4 June. At the first Architecture and Real Estate Conference BLOK, distinguished experts from Denmark (Andreas Klok Pedersen, BIG), Great Britain (Ken Allinson, Architectural Dialogue; Victoria Thornton, Open House), Singapore (Dr Ruďż˝ica Boďż˝oviďż˝ Stamenoviďż˝, National University of Singapore), and also from the region and Serbia (Saďż˝a Begoviďż˝, 3LHD, Zagreb; Vladislav Iliďż˝, Smith Hodgkinson; Richard Hazell, Colliers International; Danijela Iliďż˝, Operational Center of Asset Valuers; Marija S. Todoroviďż˝, VEA; Milan Dimitrijeviďż˝, architect; Olivera Blaďż˝iďż˝, architect) gave their presentations. ďż˝We initiated BLOK Conference with a desire to set this field in motion and promote it. Quality construction is important for the professionals in this industry, but even more for daily life of the citizens. We are sure that already the first BLOK will contribute to standards enhancement in architecture and construction, and we plan to make this conference a traditional gathering of experts and the place for exchange of experience with the leading world experts in architecture, design and constructionďż˝, stated Sneďż˝ana Markoviďż˝, Director of the company ďż˝Projemetalďż˝ who organized this conference. BLOK Conference was opened on 3 June with the presentation of the book ďż˝ZIRA CONCEPT BUILDINGďż˝, the first book on a contemporary facility in Belgrade, and the exhibition dedicated to adaptation of Robne Kuďż˝e Beograd. The project RKB Reconstruction, one of the most complex assignments in our construction engineering, was performed by company ďż˝Projmetalďż˝ simultaneously protecting the familiar brand of Robne kuďż˝e Beograd and designing the appearance and technology of the most state-of-the-art facilities. Belgrade International Architecture Week 2009 (BINA ďż˝09) ďż˝ titled simply RE... as an indicator of this yearďż˝s theme ďż˝ is dedicated to the crucial issue of the relationship to the existing urban and architectural surroundings and possibilities of its permanent REproduction, actively involved in the projects for the future. 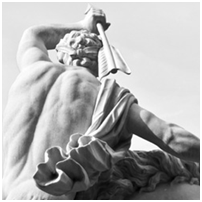 The desire of the organizers is to revise the traditional concepts of REconstruction and REvitalization of the cultural heritage, mainly controlled by stiff methodologies promoted by lethargic institutions, suggesting new concepts that can help REgeneration and REintegration of the existing architectural framework into the lively contemporary practice. The theme of sustainable development and urban REcycling has been widely discussed in technologically advanced countries conscious of the fact that the racing powers of modernity have to be correlated to the inherited values. New generations of architects have started REthinking the potentials of their immediate surroundings in a more delicate manner than could be seen at the glamorous achievements of ďż˝ďż˝starchitectsďż˝ďż˝ who often forget to consider all the layers and qualities of the inherited context in favour of celebrating their own brands and requirements of the investors. The aim it to find and present the new way of thinking by those who argue for REaffirmation of the inherited REsources in the service of creativity and who pay attention to RE... in spite of the requests of investors, blinded by an easy profit expressed in square meters as much as aspirations for a ďż˝ďż˝wow-effectďż˝ďż˝ architecture, but also argue against administrative norms invented by promoters of bureaucratized pseudo-tradition. Belgrade International Week of Architecture 2009 will gather again various professionals involved in REthinking of urban context, various generations who will share old ideas with the new ones, and representatives from different countries who will highlight the trends and experiences from their specific surroundings. The ambition of this yearďż˝s Week is to encourage theoretical thinking and open public debates in service of a fertile practice within real activities: planning, designing and realization. It is expected that such exchange of knowledge and ideas will generate new visions for the REanimation of the already existing architectural environment and of future projects open for a dialogue with the already existing domain. As before, Architecture Week ďż˝09 is open both to professionals and the broad public to whom it will present and approach, apart from this yearďż˝s specific theme RE..., the recent accomplishments in the field of architecture and urban planning from the domestic and international scene. Like in previous years, the program of the Week includes exhibitions, lectures, guded walking tours, workshops, films, seminars and roundtables. With a belief that this Architecture Week will gather people of good will and open attitudes, experts and connoisseurs, as well as citizens, enthusiasts eager to expand their knowledge and ideas, the organizers cordially invite us all to joint them. At real estate and investment expo "Real Vienna 2009", which was held in Vienna between May 26 and 28, over 240 exhibitors from 24 countries presented themselves at 16,000 square meters of exhibition space. 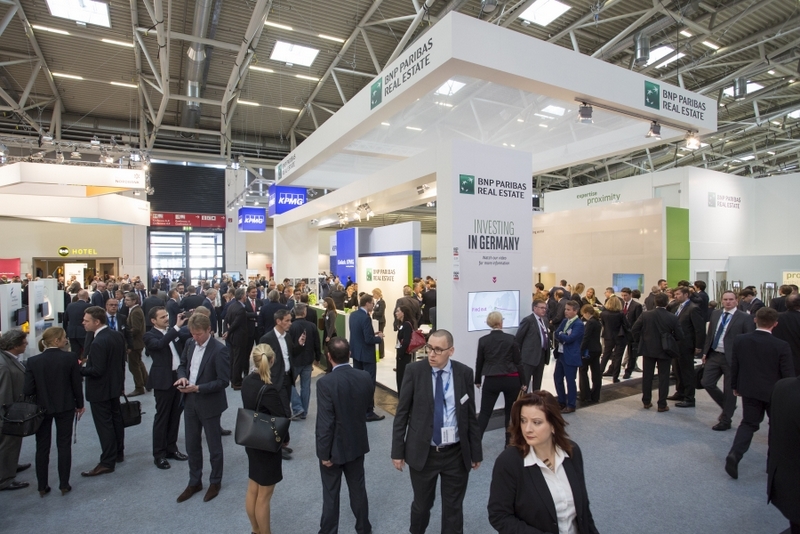 In addition to world-renowned investment funds, banks, building companies and specialized business magazines, cities, countries and regions were also presented at the expo. General estimates are that, although the presented projects were excellent, investors still wait for the right moment to get in action. Company "Verano Group" had independent and very noticed appearance. "Verano Group" owns over 500,000 square meters of space under construction and more than 600,000 square meters of space for further development of first-class office space in Belgrade and Serbia, intended for sale or lease. The projects that this company presented in Austrian capital city are: exclusive office space "B23 Office Park" ďż˝ the first building of AAA class in the region, "Department Stores Beograd" ďż˝ the largest chain of department stores in the country, "Zira Center", "Troďż˝arina Shopping Mall", and "Brdo Shopping City" ďż˝ the first retail park in Belgrade. Investments in Serbia were also the theme of the panel discussion that was held on the first day of the expo. One of the speakers at that panel was Krsta Sandiďż˝, the Vice President of "Verano Group". When asked what he would recommend to investors as far as investments in Serbia are concerned, Mr. Sandiďż˝ said that it would definitely be commercial office space. At the cocktail party that was organized at the booth of "Verano Group", which was attended by Dragan Velikiďż˝, the Ambassador of Serbia to Austria, and his associates, investors, businessmen from Serbia and around the world, the representatives of SIEPA, which also had independent appearance in the exhibition, and the representatives of media companies from Serbia and the region, general opinion was that the exhibition was an excellent opportunity for establishment of contacts between the companies that present their projects and those that advise on best investment opportunities, the result of which should be concrete business arrangements. By the way, ďż˝Real Vienna" is famous for top-design expensive booths and equipment. The Management of "Real Vienna" gave the highest mark to the presentation of company "Verano Group". - This yearďż˝s participants showed their creativity and presented fantastic projects. The booth of Serbian "Verano Group" took us to some other dimension and made us believe that we are at the sea and that there is a glass ship near us. This impressive structure successfully united the symbols of expectations for the future and merged this dimension with the realistic position, which is the most important for successful realization of business ďż˝ said Vera Gastberger, one of the managers of "Real Vienna". At todayďż˝s press conference, the organizers of REBEC announced the forthcoming event to the public. Having presented a short analysis of results from the last yearďż˝s premiere, which was held between June 23 and 25, the Director of REBEC event, Aleksandar Opsenica, announced this yearďż˝s events. In the modern premises of Centre ďż˝Savaďż˝, between June 22 and 24, after the fashion of similar traditional specialized manifestations in Europe and the world, REBEC will this year offer two-day conference (June 23 and 24) and accompanying three-day exhibition (June 22, 23 and 24) to the public. Having in mind the needs for comprehensive consideration and presentation of the current state of real estate development in Serbia, as well as in the region in certain segments, according to the last yearďż˝s concept, which proved to be very successful, the conference will comprise 7 panel discussions (four on the first day and 3 on the second day). In addition to expected themes related to city planning, greenfield and brownfield investments, the state of capital market related to real estate development support, analysis of situation and prospects of modern office space development, hidden potentials in application of PPP model in Serbia, as well as legal prospects, special panel discussions about hotel industry development in Serbia and the region and the panel discussion about broader scope of operations related to supply of project management services to the investors in Serbia will be offered to the public for the first time this year. The organizers especially pointed to confirmed participation of Carlton Ervin, Vice President, Marriott International Inc, Saďż˝a Goluboviďż˝ from Cushman & Wakefield Hospitality, EMEA, Chris Davidson from Merrill Lynch International from London, Denis Petkoviďż˝, Partner in Pillsbury Winthrop Shaw Pittman LLP from London, as well as Bryan Beaton from Belgrade-based Office of King Sturge Ltd. When it comes to local speakers, participation has, so far, been confirmed by Marko Miďż˝anoviďż˝, Partner in Altis Capital Ltd., Nenad Stankoviďż˝ from legal office Joksoviďż˝, Stojanoviďż˝ and Partners, Vladimir Djeliďż˝ from legal office Boďż˝oviďż˝, Djeliďż˝ & Ivkoviďż˝, and Jovan Jovanoviďż˝, Country Manager, Danos Ltd.
One of the improvements in regard to the previous events will be the expanded programme of events within the exhibition part of REBEC. There will be three specialized discussions whose themes are: state and prospects of facility management development, residential development, and retail space development. On the final day of all REBEC events, the retrospective of investment projects and investment ideas that drew the greatest interest of users of web portal eKapija in 2008 will be presented to the guests and participants. This event will put an end to the programme at this yearďż˝s REBEC, and the announcement of REBEC 2010 will follow. Austrian company ďż˝Eyemaxxďż˝, backed by fund ďż˝Chayton Capitalďż˝, held the presentation of one of the largest projects in the region in the Chamber of Commerce of Niďż˝, and promoted an excellent vision that includes investments in development of the airport complex and the city of Niďż˝ itself. The commencement of realization of the largest logistic and commercial cargo center, in the location next to airport ďż˝Konstantin Velikiďż˝ in Niďż˝, has been scheduled for June 2009. The cargo center complex covers the area of about 260,000 square meters, and construction of about 136,000 square meters of the facilities that meet the highest standards is in the pipeline. In addition to distributive facilities, the project anticipates development of business facilities, shopping centre, hotel, as well as other contents that will be in accordance with European standards for the projects of that type. The offices of ďż˝Colliers Internationalďż˝ in Belgrade and Niďż˝ are the leading lease agents for the space in the future project. The possibility of distribution of goods by air, road and rail will create excellent opportunities for local and regional development. In favor of that is also the fact that the construction of such complex, facilities, infrastructure and junctions will require engagement of large number of local companies, which means that a lot of people will get reliable jobs. According to the estimates, this investment worth 62m EUR will enable employment of about 500 people. ďż˝Delta Cityďż˝ has been declared as the best shopping mall in Europe in the category of new shopping malls of medium size. The most significant award in field of commercial properties was granted to ďż˝Delta Cityďż˝ by the jury of the International Council of Shopping Centers ďż˝ ICSC. Slaďż˝ana Laziďż˝, the Marketing Director of company ďż˝Delta Real Estateďż˝ received this award in Barcelona. ďż˝Delta Cityďż˝ occupies the surface of 85,000 square meters, and it was opened at the end of year 2007. The investment was worth 74m EUR, and it created jobs for 1,500 people. Five new departments will be formed within the City Planning Secretariat of Belgrade, and one of the most significant will be the sector for facilities at more than 20,000 square meters and the investments of public importance of over 20m RSD. The Secretariat will also comprise an information department for VIP investors, which will receive special treatment when it comes to issuing of building permits. The transformation is a response to frequent complaints of the investors who claim that that city organ is not efficient enough and that the building permits are granted selectively, which obstructs significant investments in Belgrade. Israeli group "Big CEE" (Big Central European Estates Group) will have 70m EUR worth of trade center built in Novi Sad prior to the beginning of year 2010. The shopping center of 30,000 square meters will be constructed in the lot at 90,000 square meters along Sentandrejski road. About 1,000 people from Novi Sad will be engaged in the works on construction of that facility, which should commence prior to the end of year 2009. The completion of the works is expected in 2010. Spacious house that is organized to your taste, modernly furnished, with wine cellar, large yard and swimming pool, surrounded by greenery and insulated from noise, and only about 30 minutes of driving away from the center of Belgrade or Novi Sad. That is how the new concept of residence, presented by English Investment Fund ďż˝Ultimate Holdingsďż˝ and consulting company ďż˝Wolf&McGillďż˝ to the market in Serbia, looks like. The first few out of about 200 houses in the current portfolio will be offered to the potential buyers at the end of March. The prices of houses range between 18,000 and 79,000 EUR. One can buy the house at 120 square meters, with complete infrastructure and paved approach lane, for as low as 30,000 EUR. One of the best houses in the offer is the one at 160 square meters in Dobrinci, which is situated in the building lot of 3.3 acres and has no accompanying premises, barn and wine cellar. That facility, with swimming pool, costs 51,000 EUR. The representatives of "Ultimate holdings" said that they believed that the current infrastructural problems in Serbia, primarily traffic network, would soon be resolved, and that "Ultimate living" concept ďż˝ the living outside the city ďż˝ would become dominant in the real estate market. English "Ultimate Asset", a part of ďż˝Ultimate Holdings", which is present in Serbia for about 3.5 years, runs investment fund "Argent", while "Wolf&McGill" is the investment adviser of "Ultimate Asset" in the markets of Serbia and Montenegro. New trade centre "Ivanium" has been opened in 18 Balkanska Street in Belgrade. It encompasses 105 outlets that offer clothing for kids and adults, jewelry, haberdashery, as well as pharmacy and exchange office. Boutiques with branded clothing by famous creators for men and women, kidďż˝s clothing and gear, jewelry, ďż˝gift shopďż˝ and leather goods can be found in this trade center. There is also an Indian shop for lovers of oriental culture. The facility will include a conference hall with 50 seats, which will be equipped with the state-of-the-arts technology. Luxury four-star hotel and bar restaurant "Privilegija" is situated next to the trade centre. Wellness spa centre ďż˝Prestigeďż˝ with Turkish bath, sauna and massage room will be settled on the lowest floor of the trade centre. The Board members of the City Assembly of Novi Sad have adopted a significant decision that will enable quicker development of the city, while the citizens will get cleaner and healthier environment. 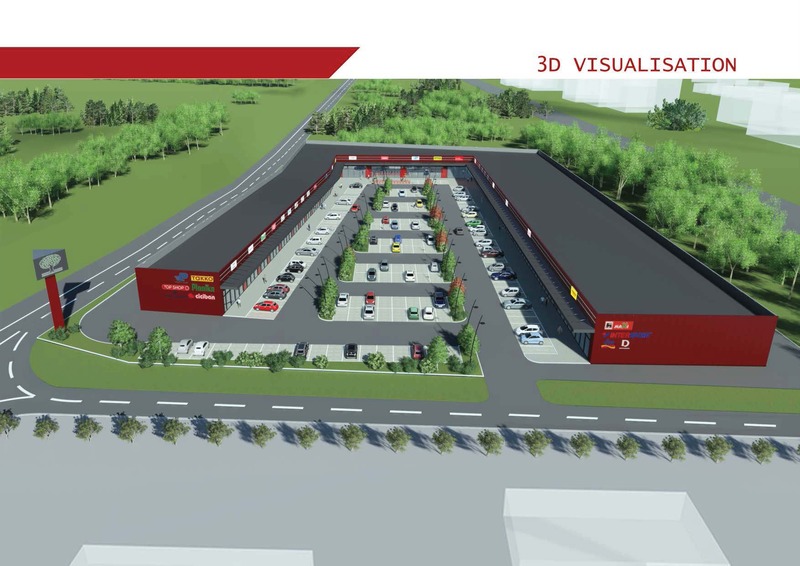 Namely, construction of a modern trade center in former industrial zone, only 2 km away from the centre of Novi Sad, has been made possible by the change in the Detailed Land-utilization Plan. The new trade centre at 39,000 square meters will be the first and the largest shopping mall in the province. The investor is international company "Ocean Atlantic International", which will invest 80m EUR and create about 1,500 new jobs in Serbia, and it will also bring the experience from the worldďż˝s most developed markets to our country. According to the investorďż˝s expectations, construction of the trade centre should start before the end of year 2009. The seventh building, out of total of 14 that should be built within business complex ďż˝Airport Cityďż˝ in New Belgrade prior to year 2014, has been officially opened. Construction of this building took only 10 months. The facility has 10 floors and it is 45 meters high. The new clients will be offered total of 13,200 square meters of office space in this building. There are 200 parking places around this business facility. This business complex is being built in the location of deserted old airport, and about 72,000 out of projected 186,000 square meters of office space have been finished to the date. Construction of the announced technical building, four residential facilities and two towers that will be situated alongside Omladinskih Brigada Boulevard is still in the pipeline. One of these two towers will be a hotel, while the other will be a business building. 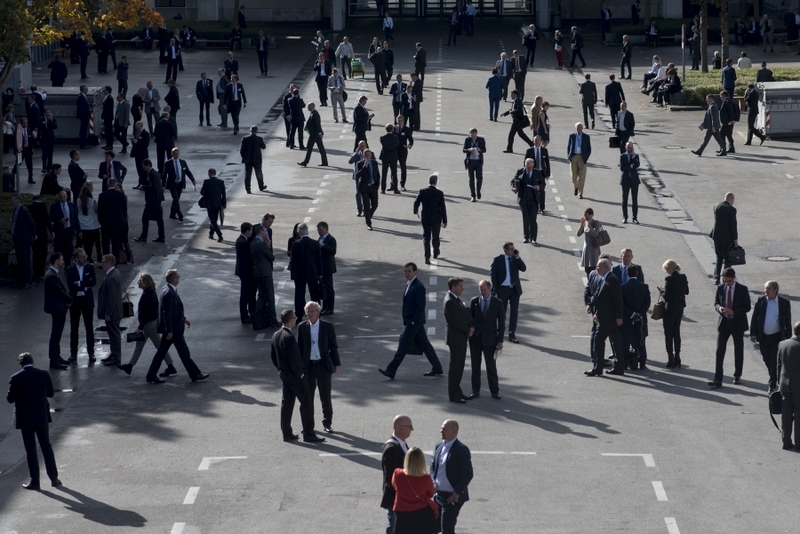 This year MIPIM celebrates its 20th anniversary of existence. Having in mind the current financial situation in the world, this jubilee has special meaning. As the organizers of this trade fair (Reed Midem) announced, the arrival of about 20,000 delegates of investors, developers, hotel operators and end-users of real estates is expected. There will also be over 600 journalists from all over the world. Of all former countries of SFRY, Serbia will have the largest number of delegates at this yearďż˝s event. From their base at the booth of Beoland, over 60 delegates from Serbia will send a quality message to the world about the current state of the real estate development in Serbia and their future expectations. The projects on the Danube within Port ďż˝Beogradďż˝ and the development projects of Rudnap Group and MPC Properties will be presented on that occasion. Mayor ďż˝ilas has also confirmed his participation in the meeting of mayors that will gather 80 of them from all around the world. 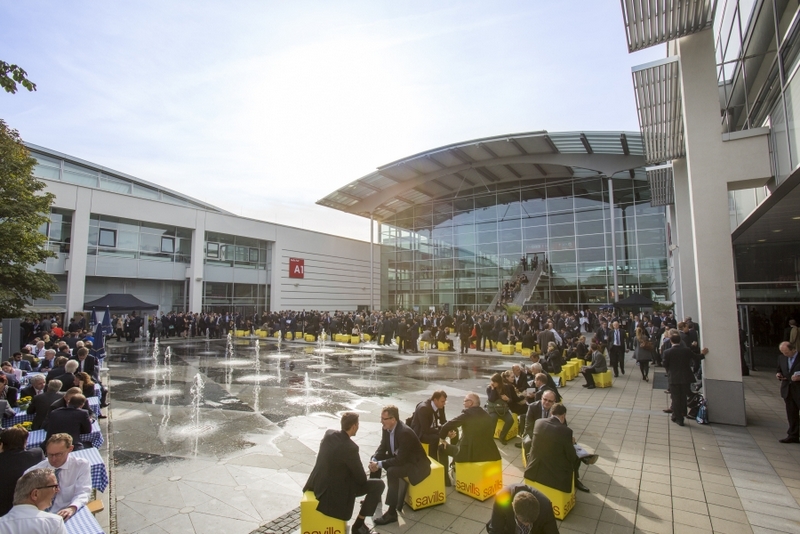 It can be freely said that the exceptional quality of the central and accompanying programmes at this yearďż˝s MIPIM will compensate for smaller number of visitors. The most acknowledged professionals are invited to present current situation in the world in a worthwhile manner at the conference, while the announced arrival of world-renowned architects, such as Zahe Hadid, Thom Mayne and Professor Wolf Prix, should additionally enrich this yearďż˝s event. 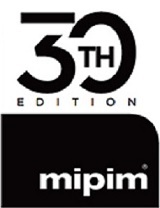 The next MIPIM will take place between March 16 and 19, 2010! Danos & Associates represents one of the leading real estate companies at global level, and it offers wide assortment of services, including investment consulting and representation services, through its offices in Athens, Salonika, Nycosia and Limasol. As an international respectable real estate consulting company, Danos Group has developed huge database of service users during 40 years of work, including public sector, financial institutions, market chains, corporate clients, private investors and other users of services. By providing professional services to their clients, the company has strengthened its reputation as a competitive and reliable professional, both locally and internationally. Having in mind everything mentioned above, it is clear how significant is that Danos, in association with BNP Paribas Group, opened its offices in Serbia (Belgrade), Bulgaria (Sofia) and Albania (Tirana) in March 2009.